Solli Raphael is a phenomenal Australian slam-poet. I was fortunate to meet him at a Penguin Random House roadshow. He is a personable, thoughtful young man with an enormous talent. He is only thirteen. 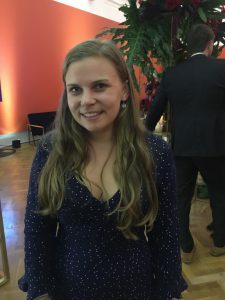 Solli is the youngest Australian to win the all-age poetry competition, the National Australian Slam Poetry Finals, held at the Sydney Opera House in 2017. This led to a TEDx solo live poetry performance at Sydney’s International Convention Centre in front of 5000 people and a solo performance at the Commonwealth Games on the Gold Coast in front of 35,000 people (with millions watching here and around the world) in 2018. He has a vision that sees people caring for all humanity, as well as for our environment. He writes and delivers his poems with thoughtfulness and engagement. You can view some of his performances online (links below). 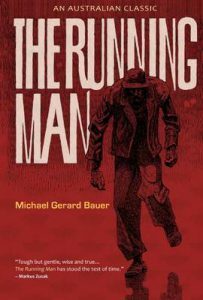 He presents his important themes and issues with developing tone and pacing, enhanced by thoughtful, apt facial expressions and gestures. And now he has written a book, Limelight where he introduces slam poets as people who “use their personal experience to tell a poetic story”, often employing rhyme. Repetition, alliteration and assonance also feature in Solli’s work. Solli and his fellow slam poets aim to raise awareness on issues such as the environment or racism. In Limelight Solli shares his experiences of some of his formative performances and gives writers’ tips. These include his creative discipline of brainstorming ideas at the same time each day and how he counteracts writers’ block. He explains some of the figurative speech he uses, such as similes, metaphors and idioms. There are over 30 poems (in a range of forms) and slam poetry in the book. The title poem, ‘Limelight’ is a combination of slam poetry and song. ‘We Can be More’ is a paean to protect the planet: “realise that your litter is a bitter pinch to the earth”. 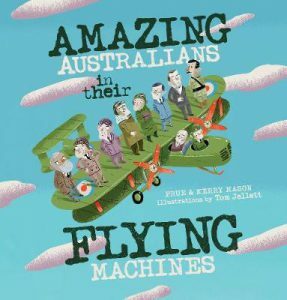 Solli’s performance of ‘Australian Air’ has been viewed 3.5 million times online and is a highlight of the book. Its play on “air” and “heir” challenges us to act to save our country. Its refrain, “We breathe in, we breathe out” gives us space to physically breathe in and out and recognise the essential nature of air and breath: something we can’t survive without and we ignore at our peril. Other poems include ‘Media Literacy: Fake News’ and ‘Evolution’. Solli has a list of upcoming appearances on his website. He is worth seeing as well as reading. Slam and similar poetry are of particular appeal to young readers but Solli Raphael offers creative, intelligent, challenging ideas, all wrapped in hope, for everyone. 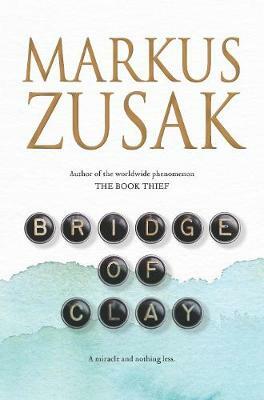 Marcus Zusak exceeds expectations in his new novel Bridge of Clay. This is an epic Australian tale awash with masculinity: the masculinity of deep, beautiful men. 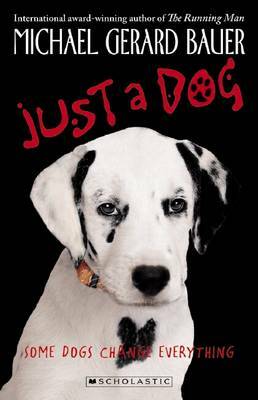 It is a story full of heart, intelligence and sensitivity. Its men are mates, brothers and family and they are men who love and cherish women. The Dunbar men are athletic, physical and even hard, yet tender and loyal. They are a “family of ramshackle tragedy”. The structure is sophisticated. Matthew, the eldest of five Dunbar brothers, is typing the story of “one murderer, one mule and one boy”. Each chapter begins in typewritten font before settling into Goudy Old Style. The typewriter itself is part of the narrative and family heritage. The boy who Matthew writes about is the one “who took it all on his shoulder” – the fourth Dunbar boy, Clay. Early on we know that the boys’ mother has died and their father has fled. We are forewarned about the long backstory about the mule, Achilles, only one of a number of past tales that enrich this book. These strands are elemental and seamless, and we are swept up in each. 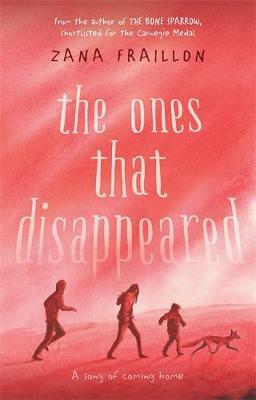 We learn of the boys’ mother, Penelope – the Mistake Maker, the pianist, the teacher, the refugee from the Eastern Bloc. She grew up steeped in the ancient Greek classics of The Iliad and The Odyssey and shared them with Michael Dunbar and their children. When she dies, the boys call their father “the Murderer”. After years away, he returns asking for help to build a bridge on his property. 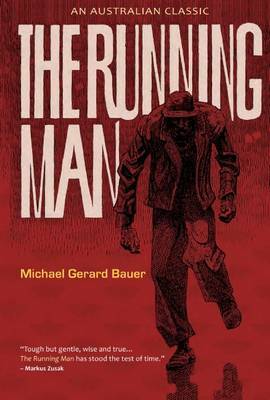 Clay, the quiet smiler, the runner, the boy who sits on the roof, the one who loves Carey and shares the book, The Quarryman with her, is the son who goes. Zusak draws the female characters with love, respect, admiration and affection, even old neighbour Mrs Chilman, a minor character. Carey is a ground-breaker, an independent, aspiring female jockey. There is a strong sense of place: the racetrack, The Surrounds and house in Archer Street in the city; Featherton, the town where it all began; and the bridge itself, the overarching metaphor. 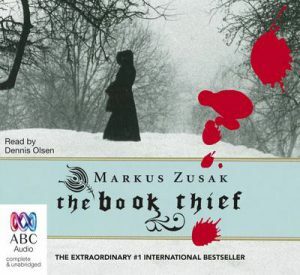 The writing is uniquely Zusak: idiosyncratic (“cars were stubbed out rather than parked”, “The furniture all was roasted.”); humorous, enigmatic and prophetic. 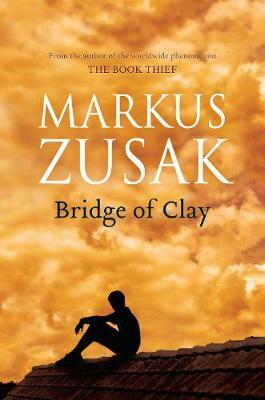 Bridge of Clay is published by Picador, PanMacmillan Australia. It is a contemporary classic. 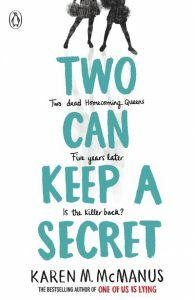 I enjoyed Karen M. McManus’s One of Us is Lying (Penguin Books) so much I read her second novel Two Can Keep a Secret (Penguin) as soon as I received an advance copy. 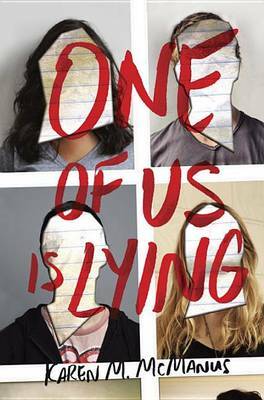 I’ve had to wait impatiently until now that it is published to review it and, because Karen’s style is so addictive, I’ve added a mention of One of Us is Lying as well. 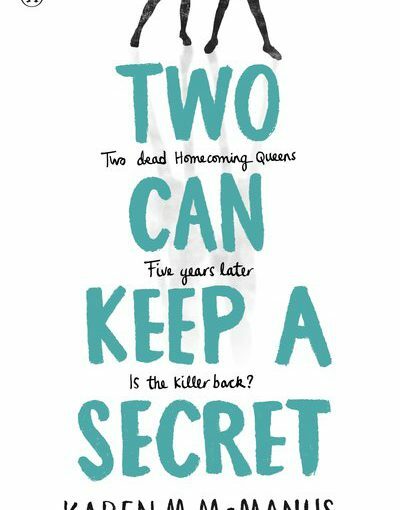 In Two Can Keep a Secret, teen twins Ellery and Ezra have just moved to Echo Ridge, Vermont, to stay with their Nana. Their mother, Sadie was also a twin. She was homecoming queen, left home when she turned eighteen and is now in rehab and too unwell to care for her children. Homecoming queens seem to be the target of tragedy in Echo Ridge, particularly in the theme park Murderland, recently renamed Fright Farm. 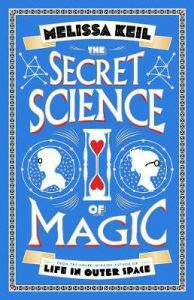 A popular young science teacher is found dead on the road, another girl goes missing and the disappearance twenty-three years earlier of Sadie’s twin Sarah seems to hang an ominous cloud over the present. 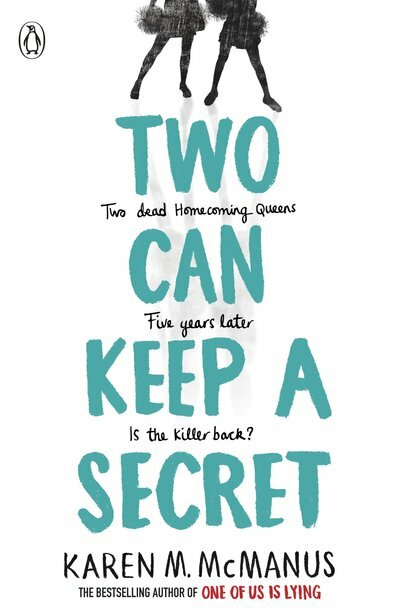 Within three weeks Ellery and Ezra have “reported a dead body, gotten jobs at a murder site, and been targeted by a homecoming stalker…” Secrets are rife. 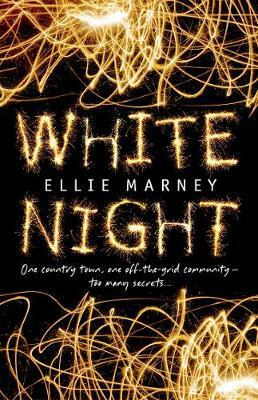 The narrative is told from the point of view of Ellery and Malcolm – who lives with his mother, stepfather and hot stepsister – and likes Ellery. 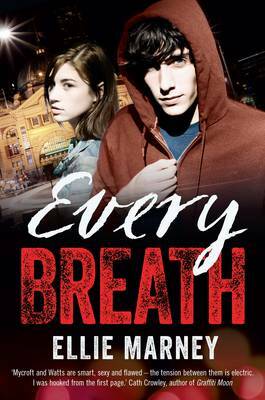 His older brother Declan was the boyfriend of a murdered girl and his return to town coincides with more trouble. 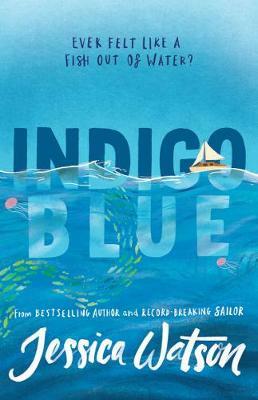 This is a place where “anything different stands out a mile.” Diverse characters are Ezra who is queer and their new friend Mia who is Korean and has “her hair buzzed short on one side and streaked red on the other”. 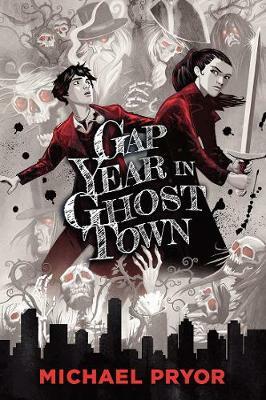 The setting in a town shrouded in murder and Halloween-theme park where many of the local teens work delivers chills. Karen McManus’s first novel, One of Us is Lying, poses the fascinating conundrum of five students sent to after-school detention. One, Simon, dies there and the other four become suspects. Bronwyn is a brain who doesn’t break rules. Addy is a beauty. Nate is a bad boy. Cooper is a jock and Simon ran the school gossip app and was about to post secrets about each of the suspects. 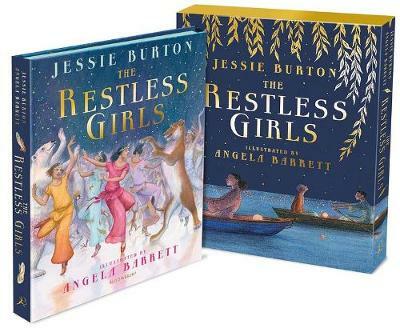 The wondrous land of Kalia and its twelve princesses come from the imagination of Jessie Burton, who wrote The Miniaturist and The Muse for adults. The Restless Girls (Bloomsbury Children’s Books) is a re-imagined fairy tale inspired by The Twelve Dancing Princesses about girls who circumvent their powerless state. It is told in sumptuous picture book form and is a perfect Christmas gift. 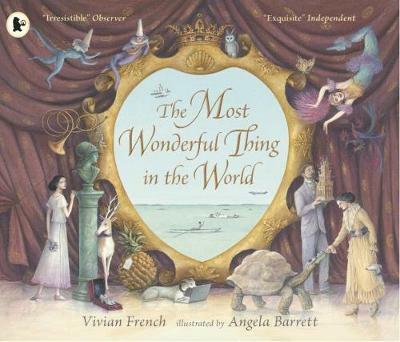 Award-winning artist Angela Barrett has illustrated another fairy tale, The Most Wonderful Thing in the World (written by Vivian French) as well as The Night Before Christmas (written by Clement C. Moore), Rockinghorse Land, The Orchard Book of Stories from the Ballet (written by Geraldine McCaughrean) and the awarded Can It Be True? (written by Susan Hill), a retelling of the Nativity story. 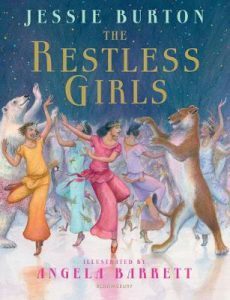 She enhances Jessie Burton’s story of The Restless Girls with her whimsical, enigmatic illustrations. The twelve princesses are introduced in The Restless Girls in order of birth: Frida is clever, ambitious and wants to fly a plane; Polina could read the stars; Lorna is kind and wise; Ariosta paints; Chessa sings; Bellina speaks five languages; Vita is happy and has a quick wit; Mariella is gifted with numbers; Delilah has green fingers; Flora is always reading; Emelia wants to be a vet and Agnes wants to be a writer. 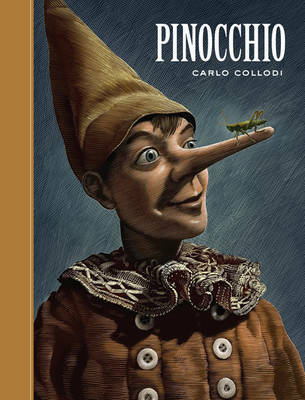 When their mother, Queen Laurelia, dies in her racing car, King Alberto (who didn’t grow up with any females and so doesn’t understand them) curtails their artistic and other pursuits because he wants his daughters to stop thinking and prepare to be housewives. They wilt when he locks them in a small room with no distractions apart from their imaginations, their stories and a portrait of their mother. One day this picture is tilted and the princesses discover a door with a staircase behind it. Music and light lead them across an underground lagoon and forests of silver, gold and diamonds. They discover something even more amazing and beautiful inside a tree when a sheet of vines and diamonds falls to the ground. The princesses meet a range of animals including a fox, a peacock with a leather book and a lioness. 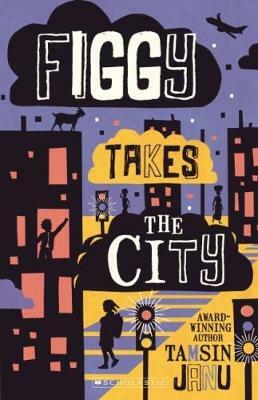 The girls are “brave, resourceful, clever and kind” but their worn-out shoes enrage the king. The classic style and beautiful fairy tale form makes The Restless Girls a timeless, empowering, gift. Magabala Books are going from strength to strength. They are perhaps most well-known at the moment for publishing Bruce Pascoe’s books for adults and children such as Dark Emu, Mrs Whitlam and Fog a Dox but Magabala has a strong backlist across age-groups and genres with great new books coming all the time. Two new titles are standouts. 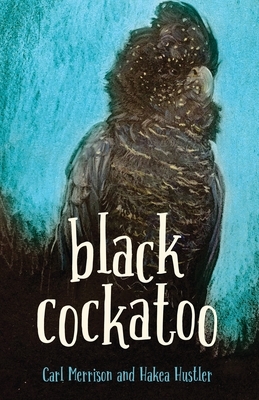 Black Cockatoo is of comparable quality to Bruce Pascoe’s writing for young people. It is written by Jaru and Kija man Carl Merrison and Hakea Hustler, illustrated by Dub Leffler (Once There Was a Boy and Sorry Day). It is a memorable story about an Aboriginal family living in the Kimberley. Although she is a spirited character she must show respect to her older brother. However fifteen-year-old Jy’s anger ripples “under his scarred skin”. He disrespects the family’s past and is killing birds, including Mia’s totem the dirrarn. Mia protects the injured bird for as long as she can. 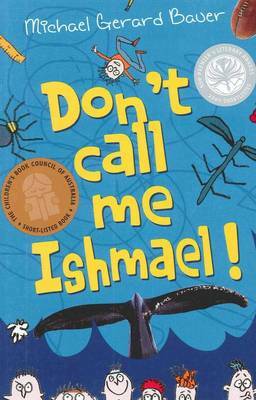 Education is valued by the family and language, particularly used for bird names, is included. 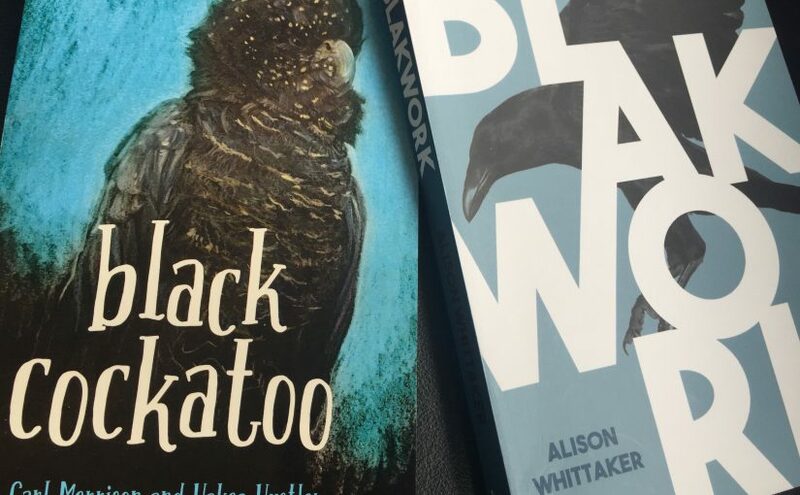 Both Black Cockatoo and Blakwork are insightful, confronting literary works. Blakwork by Gomeroi woman, poet Alison Whittaker (Lemons in the Chicken Wire) spans genres. It is poetry, memoir, critique, fiction and satire for adults or mature young adults. ‘The History of Sexuality Volume III’ is a poem about desire: “two blak women [who] love each other”. 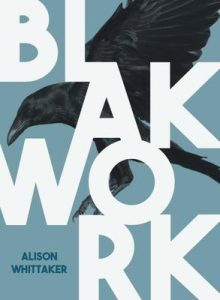 Blakwork has just been shortlisted for the Victorian Premier’s Literary Awards. Both it and Black Cockatoo are strong, significant works. 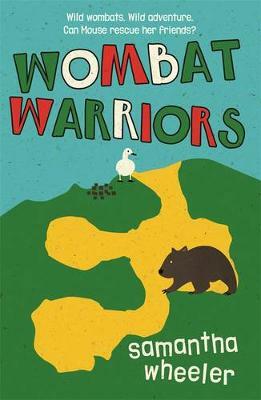 We’ve spoken previously on the blog, Samantha, particularly about your environmental, conservation stories for younger readers, such as Wombat Warriors. Thanks for joining us again to talk about Everything I’ve Never Said, an original, affecting and unforgettable work. Thank you, and my pleasure. There’s deservedly a big buzz about this novel. It’s for middle readers – what age group is that? We’re finding the novel appeals to anyone from 9 to 109! 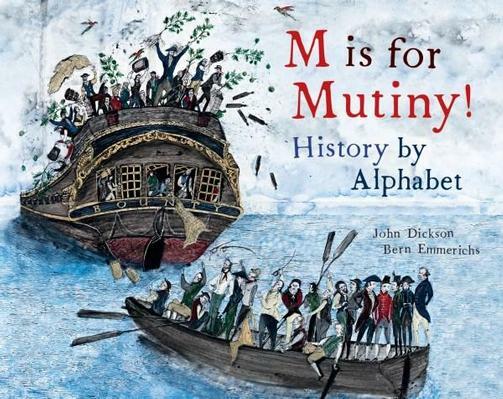 It’s found in book stores and libraries on the ’middle reader’ shelves as it is published for that age, but it is suitable for anyone in upper primary to tweens, young adults and adults alike. 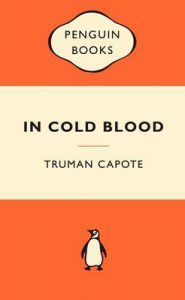 How is this book different from your other works? My other stories each features a species of vulnerable Australian wildlife, and a young person trying to save them. Written for 7-10 year olds, they’re completely fictional adventure stories, (although based on real animal issues), plot driven and very animal focussed. My new story is based very much on my own family’s experience of living with a young person with a disability and the story is more character focussed. The plot allows a unique insight into a moment in time in a family’s life, and as such, probably appeals to a wider reading age and is a more emotional, heartfelt story. Could you tell us about the major characters in Everything I’ve Never Said? Everything I’ve Never Said is about a fictional character, Ava, an eleven year old with Rett syndrome who can’t talk or use her hands to communicate. Based on my own daughter, Charlotte, who suffers with Rett, the fictional Ava lives with her nearly fourteen year old sister, Nic, and her mum and dad, but struggles to tell them what she wants and how she’s feeling. 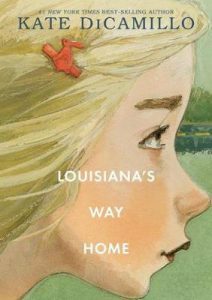 Through Ava’s inner voice, the reader hears what she wants to say, even when her parents and sister don’t understand her. It takes the arrival of her new carer, Kieran for the family to work out a way to help her. How do you show the authentic relationship between protagonist Ava and her older sister Nic? My eldest daughter, Beth, helped me a lot with the relationship between the two girls. Despite having raised my daughters, and watching them grow up together, I found it hard capture their relationship on paper. Like many siblings, it’s not all hugs and love – there’s rivalry and jealousy, but when the chips are down, true love is exposed. It was important to me to accurately show how Nic would respond to her sister in various situations. I didn’t want to show the typical eye rolling teenager. For example, when I asked Beth what Nic would say when Mum wanted to put Ava in respite, she very quickly replied, ‘She’d say no, Ava would hate that!’ This wasn’t the reaction I expected. I thought Beth would think Nic would love time without her annoying sibling, rather than consider her sister’s feelings. Why did you write the book as fiction rather than non-fiction? Ava’s voice was very powerful when I began writing, but having never heard my own daughter speak, I could only imagine what was going on inside her head. Right from the start, I had to use poetic licence to interpret what was happening for Ava, which meant the book naturally became a work of fiction. Many of the raw, difficult experiences in the book are based on true events, for example, being placed on hold for hours with Centrelink, Ava having a melt down in the hospital, the embarrassment of Nic and the exhaustion of Mum, but there were some things about our life I wasn’t ready to share. Ava starts at Rosie’s Cottage, a respite home. In your experience, how accessible and worthwhile is respite care for those with a disability? We’ve always struggled with respite. Having a non-verbal child means they can’t tell you if everything is as it should be when they stay somewhere else overnight. Also, because our daughter is so physically fragile, the other clients were often not a good match. She’d be knocked over, or just left sitting on a couch all weekend. If it is a good service, respite can be very worthwhile as it gives the person a chance to make their own friends and have experiences they would never have with their own family. For example, we’ve never taken Charlotte to Dreamworld, but she’s been with respite. We currently don’t have a safe, enjoyable overnight respite place for our daughter, so we pay carers to care for her one-on-one in our home, so she feels safe and protected when we’re not there. 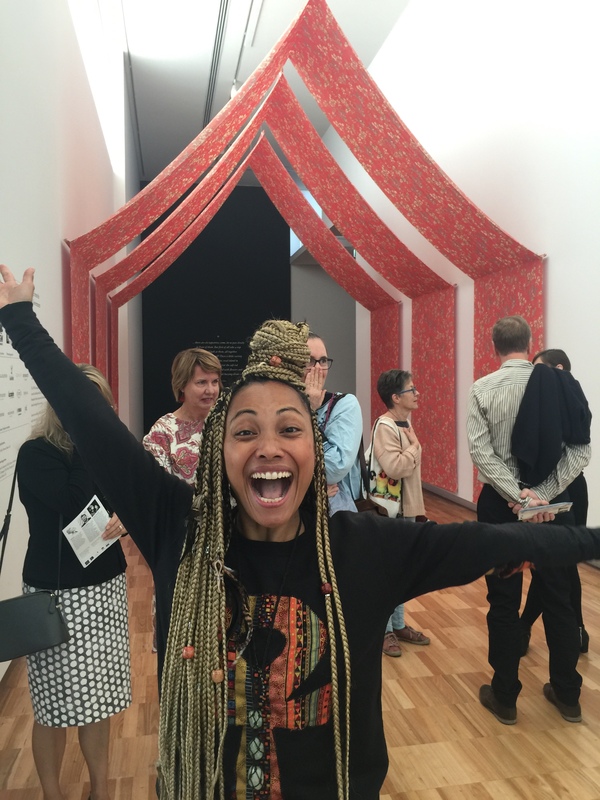 How helpful is art for young people like Ava? Art can be incredibly soothing. In the story, Ava’s colours in her paintings to reflect her mood, and I think my own daughter would do the same. But more than that, the art teachers and music teachers we’ve encountered with Charlotte seem to have a way of bringing out the best in their students. Perhaps it’s accessing that other side of the brain? I’ve got a feeling that would be the same for people with or without disabilities. Art and music are very therapeutic. Many people don’t treat those with a disability well, e.g. substitute teacher Wendy. What is something you would like people to know about how to treat someone with Rett syndrome? I often ask people to consider Stephen Hawkins. Bent and twisted in his wheelchair, how would we ever know what he had to say if he couldn’t use a speech device? So, I try and tell people not to judge a book by its cover. People with Rett syndrome and any disability are just like us. They may not be able to communicate, they may look a bit different, but talking to them like any other person, smiling, and asking how their day is going, will make them feel less isolated and more included as part of the community. Empathy is so important. What parallel have you created between Ava’s life and what happens to her father? In the story, Ava’s dad falls unexpectedly ill in Ava’s presence. This creates a situation where Ava feels her lack of communication more keenly than ever. She can’t help him, or even call for help. I see this in my own daughter when she tries so hard to say something; her eyes shine and her lips make the shape of a word, but no words comes out. It’s incredibly hard. Creating a situation where Dad can’t communicate for a while gives him a true understanding of what it’s like for Ava, and helps the family advocate more strongly to find a way to help her. How has your family reacted to the story? My husband was surprised at first, saying, ‘Is that what you really think is going on inside Charlotte’s head?’ He said the book has helped him understand her more and make more of an effort to try and understand her subtle ways of communicating. Both daughters, Charlotte and Beth, are very proud of the book, with Charlotte grinning all through the recent book launch, and any time I talk about it. Your books have received recognition in many awards. Which has meant the most to you and why? Recognition from your peers is so important. I’m incredibly proud and grateful for any award nomination as we have so many talented authors in Australia. I think, in particular, when my first book, Smooch & Rose was voted in the Readings Top 5, and shortlisted for the Qld Literary Awards, it really help me believe I should keep writing. More recently, winning the Environmental Award for Wombat Warriors was pretty fantastic! What do you hope for Everything I’ve Never Said? I hope my story will shed some light on people living without a voice. People who can’t speak up, whether they have a disability, or are shy or too scared to say what they think, need to know we do care about what they have to say. I also hoped people with Rett or other disabilities, families, siblings, carers, friends would feel less alone. We’re in this together, and while it might not be ‘Italy’, it’s a very special type of ‘Holland’ where, even with its ups and downs, we live lives full of unexpected treasures. Thank you so much for giving us even more insight into Rett syndrome and living with disability, Samantha. It has been a privilege. Thank you, thanks for the opportunity! Thanks for speaking with Boomerang Books, Michael. You have an incredible, and awarded, body of work for children and young adults. I remember first reading The Running Man as a proof copy and knowing that this was an Australian classic; literally falling off my chair with laughter when I read Don’t Call Me Ishmael; and judging the Qld Literary Awards when Just a Dog won best children’s book. Could you please tell us about these and some of your other books? I often get asked at school visits which of my books is my favourite. Of course, a bit like choosing between your children, it’s probably an impossible question to answer. I’m happy to say that I love and am proud of everything I’ve written and each book has something that makes it special for me. I would never have the nerve to send them off to my publisher if that wasn’t the case. The Running Man of course will always be special to me. 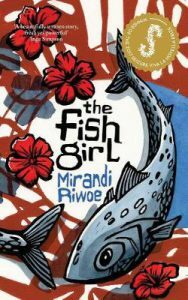 It made me a published author, won the CBCA Book of the Year and changed my life in ways that I’d only ever dreamed about. It also says some things that are important to me – like how we often judge and label people and put them in a convenient box, without really knowing them or seeing the human being behind the label. I was writing it back in the early 2000s when the issue of refugees was very much in the news and they were being demonised by some. Sadly not much has changed. Some people might think it strange, but of all the things I’ve written, I’m probably most proud of the Ishmael trilogy. I’d happily be judged as a writer just on the basis of those three books. I love the mix of comedy with more serious moments and the way the characters grow and develop and reveal different aspects of themselves as the series unfolds. I’m also pleased with how the series ends and that ultimately it’s all about the saving power of love and friendship. It was a sad day for me when I wrote the final scene and said goodbye to characters I loved. 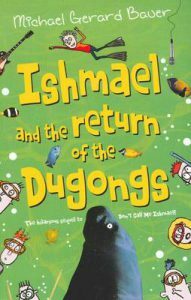 I have a special place in my heart for readers who take the time to follow the journey of Ishmael and his friends all the way from year nine through to graduation. Some of the loveliest emails I’ve received are about these books. Where are you based and what’s your background in children’s and YA literature? 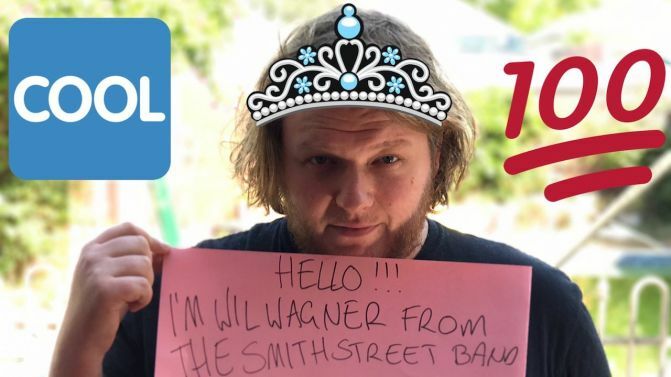 I’m based in Brisbane. I’ve lived most of my life in the suburb of Ashgrove which was the setting for The Running Man. We now live in the bordering suburb. Look how far I’ve come! I was a secondary school teacher of English and Economics for quite a few years and dreamed of being a writer. I had what amounted to a quadruple major in English Literature from Qld Uni but my awareness and depth of knowledge of children’s and YA literature was quite limited until I got a job at Marist Ashgrove (the school St Daniel’s is based on in the Ishmael books). The wonderful English co-ordinator there who interviewed me and who was ultimately responsible for me getting the job, said I needed to know more about what young people were reading. She handed me a stack of YA and middle grade novels to read over the Christmas holidays. It opened my eyes to a whole new world of stories. How are you involved in this community at the moment? I’m very fortunate living in Brisbane as we have a very vibrant, active and enthusiastic writing and illustrating community. It’s a large and supportive group and I’m often in contact with other local writers and illustrators through book launches and other literary function and events. My involvement comes about mainly via such organisations as the Queensland Writers Centre, ASA, Book Links and the local branch of the CBCA. I’m also a member of the May Gibbs Children’s Literature Trust where I’m on the selection committee for their Fellowships and Residencies. Could you please tell us about your new novel, The Things That Will Not Stand? Well if you insist! 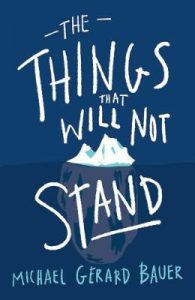 The Things That Will Not Stand is a YA novel set over just nine or so hours at a University Open Day for senior school students. 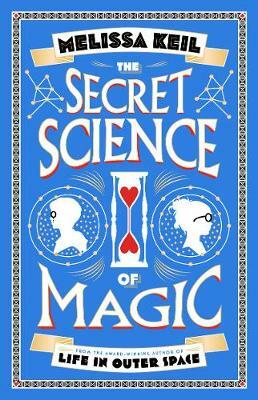 It is told in the first person, present tense by a year eleven boy called Sebastian, who is attending the day with his best friend (and perhaps mentor) Tolly. Sebastian is a bit of a lost soul as well as a romantic and when he has a brief encounter with the ‘perfect girl’ he can’t help himself hoping and dreaming that they might make a connection and his day will pan out like some feel-good, rom-com movie. 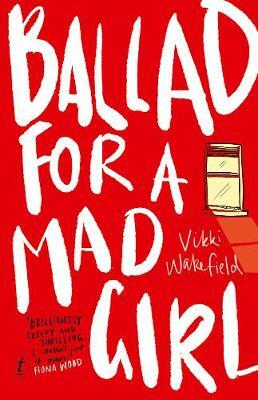 Instead, he meets Frida – the ‘wrong’ girl – and his and Tolly’s day takes a very different and much more unpredictable, turn. It’s a story about two teenagers who are both hurting and damaged in their own way. It’s about the stories they tell, the secrets they keep and the courage and faith it takes to share their real selves. The novel is a mix of comedy and drama because as Sebastian says about life, ‘It’s never just one type of thing … It’s all over the place. One minute it’s tears. Next minute it’s laughter. Then, just when you think you’re headed for a happy ending, the monsters turn up.’ I hope readers enjoy spending the day with Frida and Sebastian and Tolly. I certainly did. How important is an opening scene and how did you write it here? An opening scene is crucial. First impressions count, as they say. I think a good opening scene feels like the curtains are suddenly drawn back and you find yourself as the reader in the centre of someone else’s world. A world that hopefully draws you in and hangs on. TTTWNS opens with Sebastian standing in a cinema foyer staring at a set of big sliding doors, hoping and praying that soon they will glide open and the girl of his dreams will walk through. I chose to start here because it’s a dramatic and pivotal moment that could go either way. It also a scene that reveals a lot about Sebastian’s character and personality. How does Sebastian represent a “Very Ordinary Guy”? This is Sebastian’s description of himself and it reflects the doubts and lack of confidence a lot of young people – both male and female – have about themselves, especially when they compare themselves to others around them and (unfairly) to larger than life celebrities. In that way he is an ordinary teenager because like most teenagers, he doesn’t see or appreciate the extraordinary and admirable qualities he actually does have. But I’d like to think that readers will see them. Frida has a sharp wit. How did you form her dialogue? 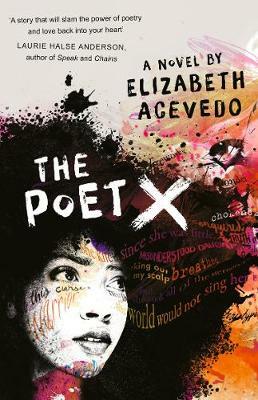 I enjoy writing dialogue and I loved creating the exchanges between Frida and the boys. I can’t explain the process of writing the dialogue or where the ideas come from. I think knowing the character well and seeing them as real people helps. Because of Frida’s connection to Frida Kahlo I imagined her as someone who was creative, fiery, intelligent and strong-willed but also with a sense of fun and humour and compassion. I tried to channel that. Writing for me is often like picturing a scene in my head and watching it like film and then trying to capture in words what I see and hear. I think everyone loves humour but it’s so difficult to write. It’s something you do well! How do you pull it off? 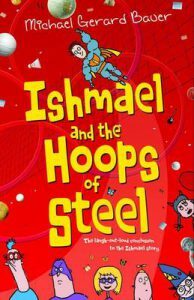 I often get asked how I come up with the jokes and humour in books like the Ishmael series and the Eric Vale series. I can never answer those questions. I sometimes do workshops on writing humour and talk about how the key to all humour is ‘surprise’ or the ‘unexpected’ and how you can apply this to creating surprising and unexpected characters, situations, storylines and language use. But I must admit that I don’t have a conscious process I go through or a formula in my mind when I’m writing comedy. I just try to think of things that I find funny. Pathetic explanation, I know! I was never extroverted or a ‘class clown’ at school, but I could always make my friends laugh. I think it helps that I’ve loved comedy and have devoured funny movies, TV shows, cartoons and books ever since I was a little kid. One of the strengths I think I have as a creator of stories, it is that I often see connections and links between things. Perhaps being able to see surprising and unexpected connections between words and ideas and situations, helps with producing humour and witty dialogue. What is the significance of the movie Casablanca and other movies in the novel? Like The Big Lebowski, Casablanca is one of my favourite films. Best dialogue ever. It’s significant in the novel because as a love story it stands in contrast and challenges Sebastian’s happy ending rom-com fantasies. The final scene of Casablanca shows that love is not a selfish thing, that sometimes it involves pain and sacrifice. After watching the film together, Frida comments jokingly that Sebastian is nothing like Bogart’s character Rick in the film. I like to think that by the end of the novel she might not be so sure. How are Sebastian and his mate Tolly actually not Ordinary Guys, but superheroes? Aren’t most superheroes ordinary people most of the time until those crucial moments when they are called on to reveal their alter-ego? 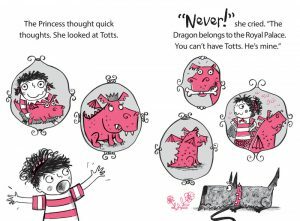 Sebastian and Tolly don’t have superhero costumes but they do have those moments when they reveal who they are through their words or actions – such as when Tolly takes on Frida’s tormentor in the lecture theatre. But they’re not your classic superheroes. If they do possess any ‘superpowers’ it’s just their essential decency and empathy. 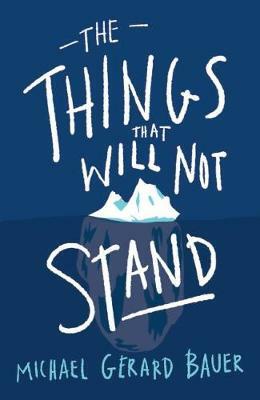 The Things That Will Not Stand is an engaging read that, at first, conceals scars and depths in the character’s lives. How do you unpeel these layers? Every time you have a character in a scene they are revealing something of themselves – how they act, their appearance and mannerisms, the words and images they choose to use, how they react to other characters, other situations and ideas, their thoughts and feelings and attitudes – all of these things and more help readers’ build up an understanding and appreciation of a character. Even if the character is trying to hide or disguise who they are, their real nature can be shown to seep through. 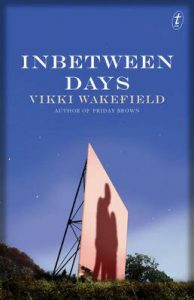 Sometimes in TTTWNS hidden layers are exposed when cracks and inconsistencies appear in a character’s story. More importantly, layers are peeled back when trust grows between the characters – when they feel brave enough to place some of their secret pain and hurt in someone else’s hands. The various events of the day provide the opportunities for the trust and connection between Sebastian and Frida to grow and strengthen. The title is a line from the movie The Big Lebowski – a big favourite of mine. The main character in the film, The Dude (Jeff Bridges) says at one point, ‘This aggression must not stand, man.’ In the book the statement ‘It will not stand’ is used by Sebastian and Tolly as a declaration of intent, a call to action against some perceived wrong or injustice or any unacceptable situation. A bit like how recently all those amazing school kids around Australia saw the lack of commitment by our country’s leaders in dealing with Climate Change and took to the streets. To my mind, that was a big ‘It will not stand’ moment. I could well imagine Sebastian and Frida being there, with Tolly leading the way. 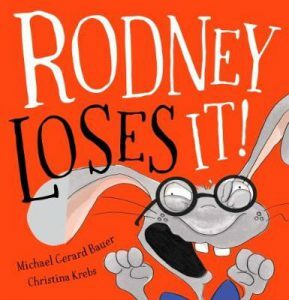 There might be a sequel to Rodney Loses It. I hope so anyway. 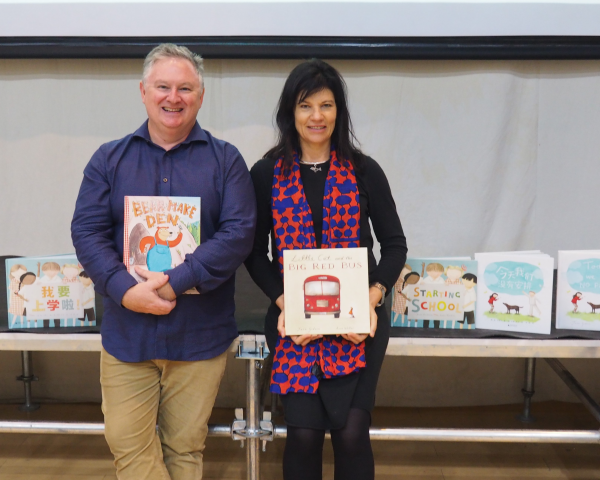 Winning the CBCA award this year as well as the Speech Pathology of Australia award and sharing that success with the amazing Chrissie Krebs has been such a great thrill. I’m pottering around with some ideas and verses at the moment, but I won’t submit anything to my publishers unless I think it’s up to the standard of the first book. The main thing I will be writing next year is a serious YA novel (my first completely serious book since The Running Man). I was very fortunate recently to receive a Queensland Writers Fellowship to support this project. The working title of the book is Gaps and Silences. Like The Running Man, it will be set in Ashgrove, but further in the past. There might also be some slight connections between the two stories. Haven’t quite worked that out yet. There’s still a lot of pieces of the jigsaw puzzle of find and assemble before I get a clear idea of the full picture. I have a blog/webpage at michaelgerardbauer.com and I’m on Facebook at Michael Gerard Bauer Author, Twitter @m_g_bauer and Instagram at mgbauerpics. Thank you, Michael, for your generous and insightful responses. Michael writes across age-groups – so seek out his works for Christmas gifts. I highly recommend The Things That Will Not Stand for teen readers. Thanks for speaking with Boomerang Books Blog, Nikki. Thanks so much for reading Liberty, Joy, and for these wonderful questions … here goes. I am based in Terrigal, just north of Sydney. I love being a part of the YA writing community and have made some dear friends. Currently a writer friend and I are putting together a Central Coast writers’ group to offer each other support and encouragement. It’s easy to feel isolated as a writer so community is important. I was swept away by your new novel Liberty (University of Queensland Press). What else have you written? I’ve written two memoirs and Liberty is the second of a series of three books in a loose trilogy called The Systir Saga. Hexenhaus was first released in 2016 and Liberty will be followed by Saga in 2019. The books can be read in any order or as stand-alone books but work well as companions or ‘sister’ books. How did you select the three story strands and protagonists in Liberty? Could you give an outline of each? I chose the historical characters of Betsy Gray and Jeanne Laisne after extensive searching for girls who could fit my agenda. They were chosen because they were strong and courageous, standing up and out in times of conflict and raising their voices for themselves and the women who came after them. History has overlooked women’s stories of valour in favour of ‘hero’ tales and I wanted to lift these girls’ stories from the footnotes and shine a spotlight on them. 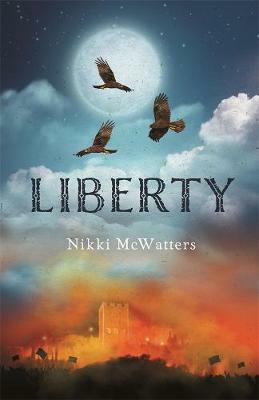 In Liberty, Frenchwoman Jeanne Laisne leads an army of women against a hostile invading force in the late 1400s; Irish Betsy Gray rides beside her brother and sweetheart in a rebellion against the English; and Fiona McKechnie marches for peace and freedom in the anti-war movement in the late sixties in Brisbane. Which are based on historical figures? Betsy and Jeanne were real historical characters while Fiona is a fictional composite of some of the strong women in my own life (grandmothers/mother/aunts). How have you used romance in the stories? There is romance in each of the stories but I made sure that none of my girls were defined by the men in their lives. Each broke with the traditions of their time. Arranged marriage was the norm in France at that time but Jeanne wanted to marry for love. Betsy was in no hurry to settle into butter-churning and domestic servitude and Fiona wanted to ‘be’ a lawyer as opposed to her father’s hope that she might ‘marry’ a lawyer. How do you show female powerlessness and oppression in these tales? During each of the eras, women faced significant powerlessness and oppression. Women were largely seen as property or ‘helpmates’ to their fathers and husbands. My three characters feel suffocated by this and seek to break those bonds and assert themselves as individuals. How do you highlight the power and agency of women in the novel? Power and agency were not on offer to my three girls; they had to wrest it for themselves with great strength and determination. Each took the harder path and refused to let society dictate who they were and what they were capable of. They had to break some old rules to make way for new ones. Female bloodlines are shown, even leading back to Jeanne d’Arc/Joan of Arc. Why have you included these? The female bloodline, written in the mysterious Systir Saga book, a matrilineal family tree that spanned many centuries, is the life-force of Liberty and the other books in the trilogy. While there are actual historical female figures in this book, including Joan of Arc, it really is symbolic of the global sisterhood – a force that runs beneath the surface of movements such as #metoo. We have the liberties we do today because of women like Betsy and Jeanne and Fiona who raised their voices, which allowed those that came after to raise theirs. All three protagonists have missing mothers and none want to disappoint or dishonour their fathers. Why these missing mothers? My characters have no mothers in their lives. This is interesting because I think being raised by fathers shaped the girls, to a certain extent, but all felt compelled to make their late mothers proud of them and they sought to right the wrongs that had taken their mothers from them too early. In Fiona’s case, she wanted to attend university because that had not been an option for her own mother. How does Jeanne query the predestination of fate? Jeanne does question the concept of predestination. Her fate was to be ‘sold off’ and married to a cruel man she did not love because the Captain of her town made decisions about her life and not even her father could prevent that. 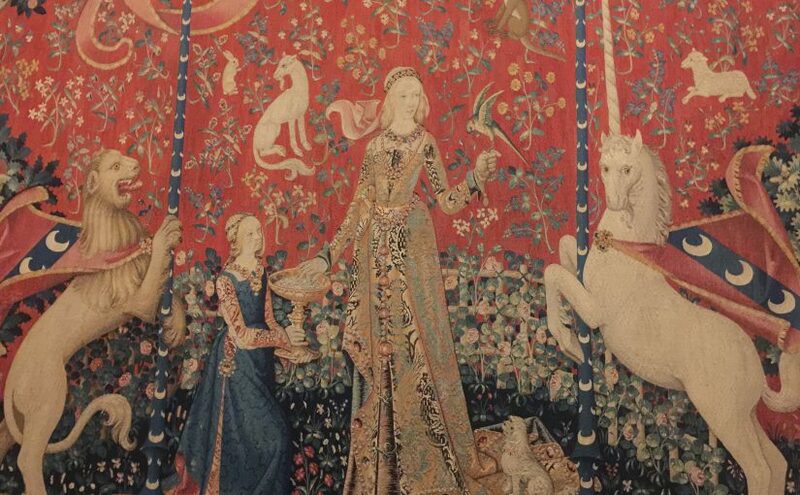 Jeanne, as a poor peasant girl, felt miserable about not being able to make her own life choices and so she seized her moments when they presented themselves and managed to change her destiny. This is true for all of us. No matter how trapped we feel, we always have choices. Betsy’s heroine was Mary Ann McCracken. Who is yours? I love that you ask who my heroine is. I have so many. I actually do a daily visualisation and have an imaginary council of strong women that includes Michelle Obama, Mary Shelley, Emily Brontë, Queen Elizabeth the First, Madonna, Oprah Winfrey and Malala Yousafzai. I know that sounds a bit wacky but it works for me. Your novel title is ‘Liberty’. What liberty do you hope for? I have a great desire for true liberty for women in our world. This would mean that women felt safe to walk at night; safe in their workplaces, schools and in their homes. Equal pay would be a reality and women would sit in equal measure in boardrooms, governments and in every walk of life. Women would be valued for themselves and respected for the great human beings they are. I have just finished writing Saga, the third book where I introduce three new heroines. Hexenhaus has three women accused of witchcraft, Liberty has three warrior women and in Saga I have three young women who change the world through words. Thanks very much Nikki and I greatly look forward to reading Saga. Thanks Joy. I really loved your questions! 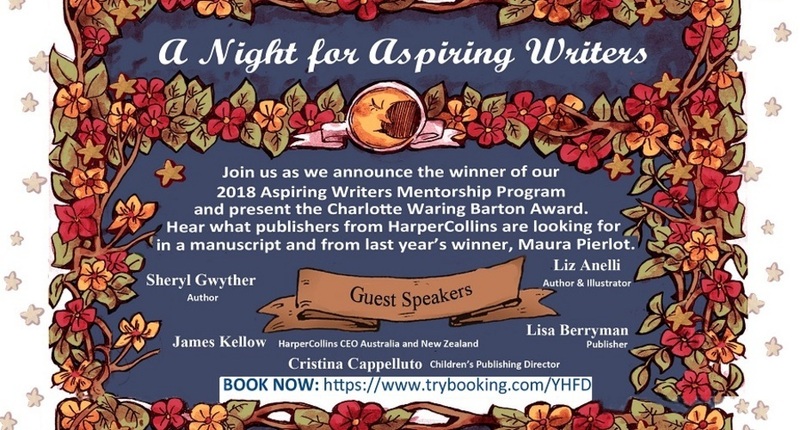 Liz Anelli and Sheryl Gwyther will be sharing their knowledge and experience of writing and illustrating with aspiring children’s book creators and other interested people in an event organised by CBCA(NSW) this week, the Aspiring Writers Mentorship Program. Liz Anelli has been achieving recognition for her distinctive illustrations. Her picture books include Desert Lake, written in Pamela Freeman’s assured text. 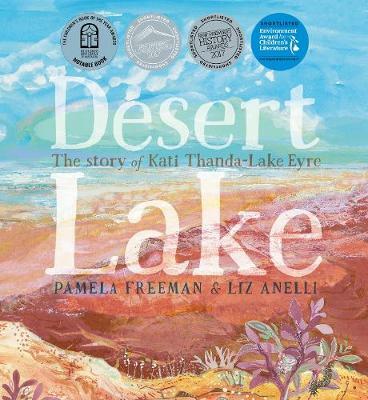 It’s published as part of the Walker Books ‘Nature Storybook’ series and shows how Kati Thanda-Lake Eyre changes when the floods arrive using texture, pattern and colour. 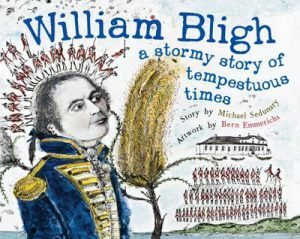 It has been shortlisted for several awards, including the NSW Premier’s Literary Awards and the Educational Publishing Awards. 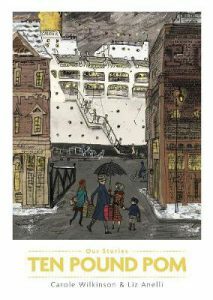 Ten Pound Pom, written by Carole Wilkinson (Black Dog Books, Walker B ooks), is another well-designed book from the illustrated ‘Our Stories’ series. It is a Britain-to-Australia immigration story. Liz Anelli has created authentic detail, even using fabrics from her family to fashion the clothing. 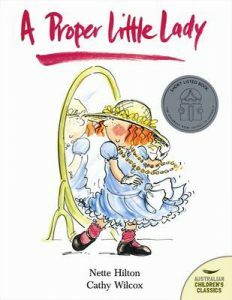 Maddie’s First Day, written by Penny Matthew and also published by Walker Books, looks at the evergreen subject of a child’s first day at school. 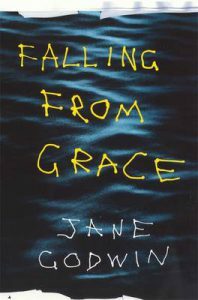 Grace and Katie written by Suzanne Merritt (EK Books) is a wonderful vehicle for Liz’s skills as she shows the differences between these twin sisters. One is creative and messy. The other is ordered and tidy. Their map-making is a triumph. Sheryl Gwyther is an incredible support to the Australian children’s literature world. I know Sheryl from my years living in Brisbane and she is a wonderful advocate of children’s book organisations and those who are part of them. 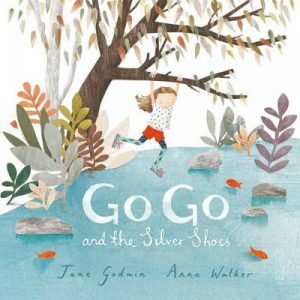 She is an active member of SCBWI (Society of Children’s Book Writers & Illustrators), an excellent organisation for children’s book creators. Sheryl’s work appears in the School Magazine and elsewhere. Her books include the engrossing Secrets of Eromanga (Lothian Books, Hachette) about Australian dinosaur fossils and Sweet Adversity (HarperCollins), a historical novel set in Australia during the Great Depression with Shakespearian and theatrical touches. Both Liz Anelli and Sheryl Gwyther will be speaking tomorrow night (Thursday 8th November) at an event for aspiring writers at HarperCollins in Elizabeth St, Sydney. Full details and booking information are in the flyer below or follow the link. HarperCollins keeps our Australian children’s book heritage alive by continuing to publish and promote the works of May Gibbs and Norman Lindsay. They recently published Emily Rodda’s The House at Hooper’s Bend, a brilliant book, which has been shortlisted for several awards including the 2018 CBCA Children’s Book Awards and the Qld Literary Awards. It is followed by His Name Was Walter, which I look forward to reading. 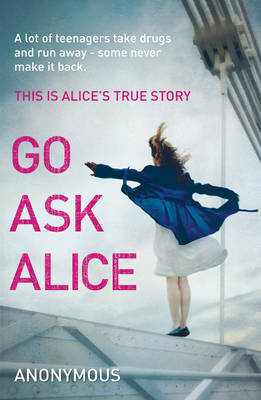 My other recent favourite from HarperCollins is Jackie French’s Just a Girl. It’s one of the best books I’ve read this year. Belinda Murrell is a much-loved author of children’s series fiction and time-slip and historical novels. Her series include ‘Pippa’s Island’, ‘Lulu Bell’, ‘The Sun Sword’ trilogy and ‘The Timeslip’ series. Her books are warm and rich with appealing characters and captivating storylines. Thank you for speaking with Boomerang Blog, Belinda. What is your background and where are you based? I grew up on the North Shore of Sydney in a rambling old house full of books and animals. 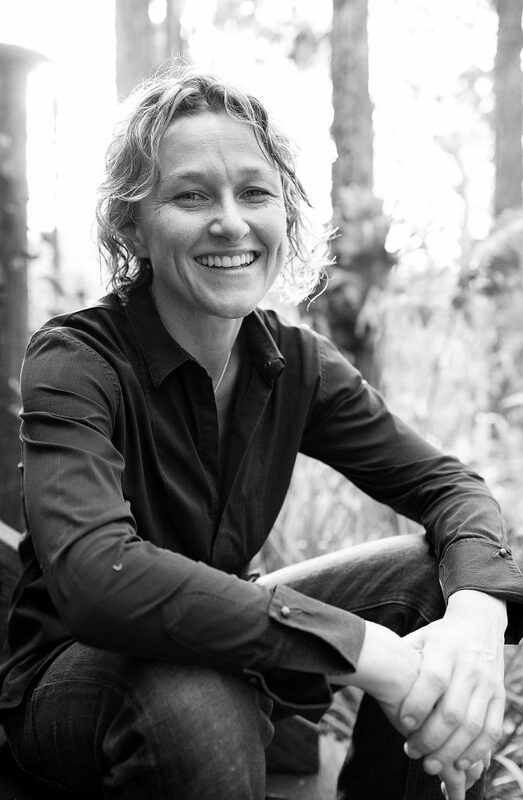 I studied media, writing and literature at Macquarie University and worked for many years as a travel journalist and corporate writer, before becoming a children’s author. Now I live with my family in a gorgeous old house, filled with books, overlooking the sea in Manly. 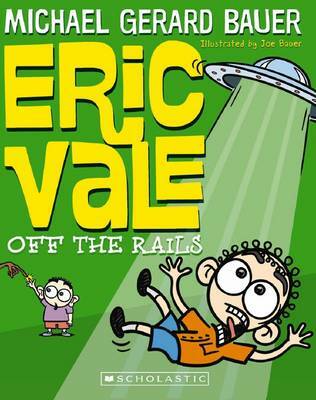 What led to your writing books for children? 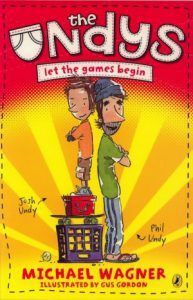 About 14 years ago I started writing stories for my own three children, Nick, Emily and Lachlan. 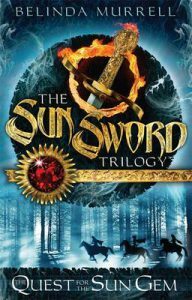 Some of these stories became The Sun Sword Trilogy, a fantasy adventure series which was published about 12 years ago. I’ve been writing for children of all ages ever since. My favourite things to do include walking my dog along the beach, riding my horse at my brother’s farm, skiing, reading books and travelling the world having lots of adventures with my family. What themes or issues appear across some of your books? Finding your courage, being brave and kind, standing up for what you believe in, accepting people’s differences and the importance of family and friends are all themes which I explore in my books. Another issue which is very important to me is creating strong, inspirational female protagonists which girls can relate to. When my daughter was younger, I was disheartened by the number of children’s books which always had boys as the heroes. “You cannot be what you cannot see” and so I strive to create lots of different, interesting and aspirational female characters. 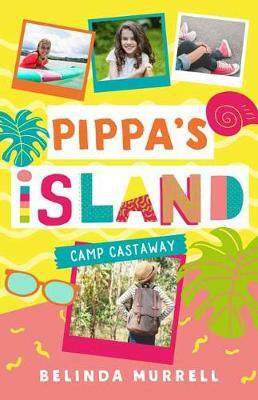 Could you tell us about your books, particularly your latest series, ‘Pippa’s Island’? 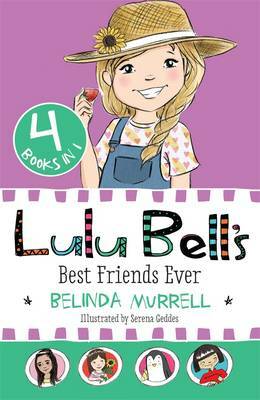 The Lulu Bell series is about Lulu and all her animal adventures, living in a vet hospital, inspired by my own childhood as the daughter of a vet. The 13 books have been hugely popular with younger readers, aged about 6 to 8. 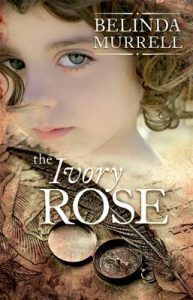 For older readers, aged about 10 to 14, I have written a series of seven historical and time slip novels, such as The Ivory Rose, The Lost Sapphire and The Forgotten Pearl – each with a modern-day story woven together with a long-forgotten mystery or family secret from the past. 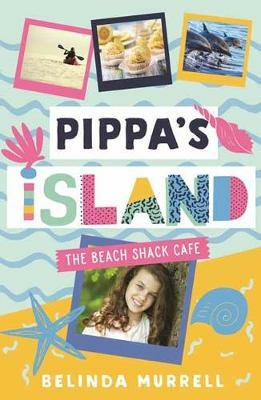 What is Pippa dealing with in the new ‘Pippa’s Island’? Pippa’s noisy family have been living crammed into a tiny caravan in her grandparents’ back garden and money has been super tight. Pippa’s can’t wait to move into their new apartment right above the Beach Shack café but the builders are taking forever! Pippa’s feeling frustrated until she comes up with a genius plan to make some pocket money: Pippa’s Perfect Pooch Pampering. With a lot of help from her best friends, Pippa starts her own dog walking business. Soon she has her hands full with adorable but pesky pups. What could possibly go wrong? Puppy Pandemonium!! 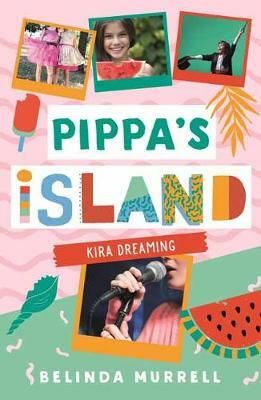 Which character has most surprised you in ‘Pippa’s Island’? I absolutely fell in love with my main characters – Pippa and her best friends Charlie, Cici and Meg, who are all so different yet so caring of each other. Yet I also enjoyed discovering how some of my other characters developed over the series. 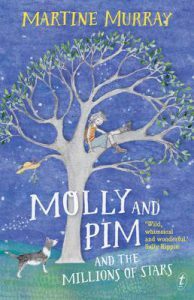 Pippa’s arch rival is Olivia, who is good at everything, whether it’s winning the class academic prize, gymnastics or dancing. Olivia is popular and a natural leader but can be very competitive. 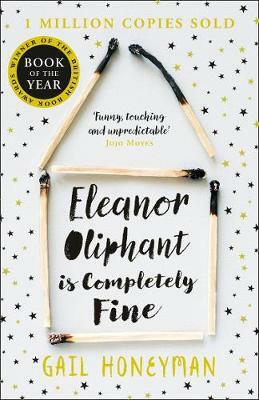 At first, Olivia and Pippa seem like they will be friends, but when Pippa tops the class in a maths quiz, Olivia feels threatened and tries to exclude her. 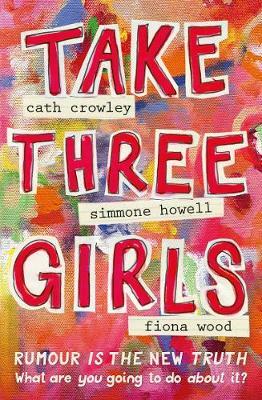 Over the course of the series, the girls have a prickly relationship but gradually they work out their differences and learn to appreciate each other. The ‘Pippa’s Island’ books are full of delicious cupcakes. What is your favourite flavour? 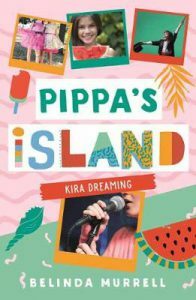 Initially my favourite was Cici’s lemon cupcakes in book one, but then at a Pippa’s Island book launch, a gorgeous librarian baked dozens of divine strawberry cream cupcakes. They were heavenly, and of course starred in book 2!! Who are your core readers? Where do you have the opportunity to meet them, and have any of their responses been particularly memorable? My core readers are girls aged between 6 and 14 and it’s been lovely to see readers growing up reading my books, starting with Lulu Bell, then Pippa’s Island and then the time slip books. One of the greatest joys of being a children’s author is meeting kids who love my books at schools, libraries, bookshops and festivals. They get so excited! Every year I spend about four months visiting schools and book events all over the country. This year I’ll visit schools in Adelaide, Melbourne, Brisbane, Tasmania, all over Sydney as well as many regional areas. The most memorable and humbling experiences have been hearing from readers, particularly of my time slip novels, who feel that my books have changed their lives. A year 12 student wrote a heartfelt letter to thank me for writing her favourite book, The Ivory Rose, that “she’d held so dear for so long”, that helped her decide what she wanted to do with her life. Another 18-year-old girl wrote to say that the adult she’d become and the values she treasured were inspired by my books that she’d read over and over. These letters are so beautiful and make me cry. What is the value of series fiction, particularly in comparison with stand-alone works? Kids love reading a whole series of books because they have the chance to really get to know the characters and see how those characters develop and change. 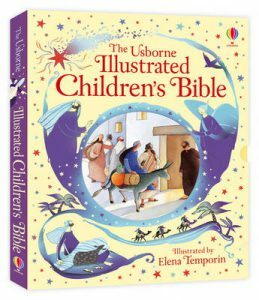 It is also comforting for younger readers to know what to expect in a book – that they will love the setting, the style and the writing, so it’s much easier for them to become lost in the story. A series that you love can be completely addictive, whereas a stand-alone book, even a brilliant one is over too soon! For my book club, I’ve just finished reading Eleanor Oliphant is Completely Fine by Gail Honeyman, which I’ve been wanting to read for ages. It was fantastic – so funny, witty and moving. I absolutely loved The Peacock Summer by Hannah Richell, set in a crumbling old English mansion, about a modern-day character called Maggie, trying to discover the secrets of her grandmother’s mysterious past. Another historical book which I loved was The Juliet Code by Christine Wells, about Juliet Barnard, a British spy parachuted into France during World War 2, to help the French Resistance in occupied Paris and her turmoil in dealing with these experiences when the war is over. I have two completely different and new projects that I’m very excited about. The first is a middle-grade children’s fantasy novel set in a world inspired by Renaissance Italy. I’m in the early stages of writing the story and am heading to Tuscany in the New Year to explore tiny fortified hill towns, medieval towers and secret tunnels. The other project is very special – a book which I’m writing with my sister Kate Forsyth, to be published by the National Library of Australia. 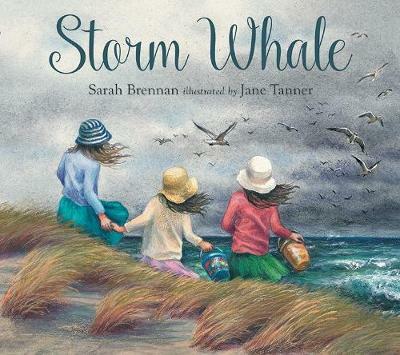 It is a biblio-memoir about growing up in a family of writers and the life of our great-great-great-great grandmother Charlotte Atkinson, who wrote the very first children’s book, published in Australia in 1841. Thanks Belinda, and all the very best with your books. 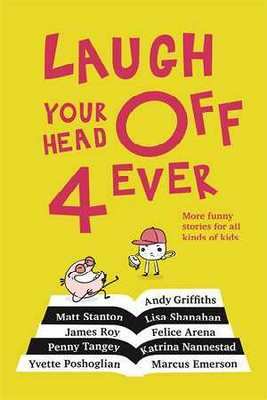 Children adore funny stories so thanks to the publishers who are commissioning them and authors who are writing them. Penguin Random House Australia has recently published the brilliant Oliver Phommavanh’s new novel Natural Born Leader Loser; Mr Bambuckle’s Remarkables Fight Back by Tim Harris, where the exploits of Mr Bambuckle and his class continue; and Total Quack Up!, an appealing anthology edited by Sally Rippin and Adrian Beck. Pan Macmillan Australia has extended its popular comedy series with Laugh Your Head Off 4 Ever, illustrated by Andrea Innocent. Highlights here include Felice Arena’s ‘Dad Dancing’ about Hamish’s dad who dances cringeably at the end-of-year formal. 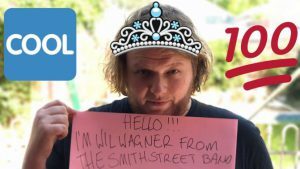 Bully, Craig Dickson, films it on his phone until the music changes … Penny Tangey’s ‘Use Your Words’ is about the power of words and could also be used in schools to illustrate this in a fun way. James Roy’s ‘Evil Genius’ is a clever comeuppance featuring jelly snakes. 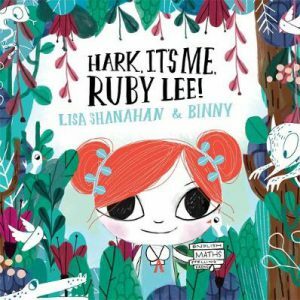 Lisa Shanahan has an alien tale in ‘Harriet’s Spacey Friend’. And Andy Griffiths’ ‘Runaway Pram’ has been published previously but is a superb slapstick piece. The bright yellow cover with contrasting pink makes this book stand out. 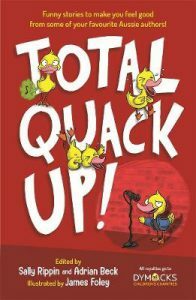 Another anthology is Total Quack Up! 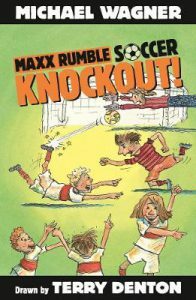 It’s edited by Sally Rippin, much-loved writer of ‘Polly and Buster’, ‘Billie B Brown’, ‘Hey Jack!’, awarded picture book The Rainbirds (with David Metzenthen) and stunning middle-grade novel Angel Creek; and Adrian Beck, author of the ‘Champion Charlies’ and ‘Kick it to Nick’ series. It’s illustrated by James Foley of My Dead Bunny fame. Deborah Abela uses the hills hoist to dramatic effect in ‘How to be a Superhero’. Tristan Bancks has a funny take on a football game in ‘The Pigs’. Jacqueline Harvey will scare anyone off pet sitting in ‘Pet Sit Pandemonium: Operation Snowball’. Using a clever play-on-words Sally Rippin shows what could happen to disobedient children in ‘Do Not Open’. The hilarious R.A. Spratt has another funny Nanny Piggins story in ‘Pigerella’. And Matt Stanton has a selfie-inspired cautionary tale in ‘What Hippopotamuses and Sharks Have in Common’. The only story published previously is Paul Jennings’ ‘A Mouthful’. It’s a very funny Dad tale. Tim Harris’s ‘Mr Bambuckle’ stories (illustrated by James Hart) are incredibly popular. In Mr Bambuckle’s Remarkables Fight Back we meet his class of 15 students again. 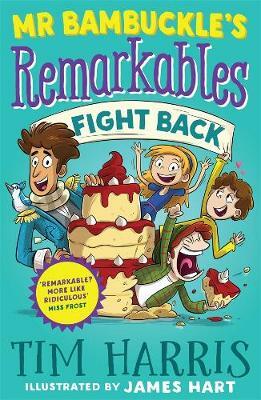 They get the better of horrible teachers and Scarlett has an original plan to get rid of the dire Miss Frost. 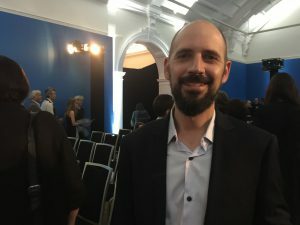 Mr Bambuckle inspires creative ideas, such as asking students to think of “a ridiculous use for a cake” and “an imaginative way to enter the classroom”. 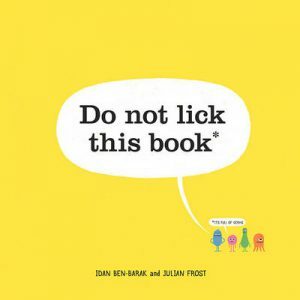 As a bonus, books with illustrations are championed as a way of managing the terrible behaviour of a kindergarten buddy. It’s followed by Mr Bambuckle’s Remarkables Go Wild. 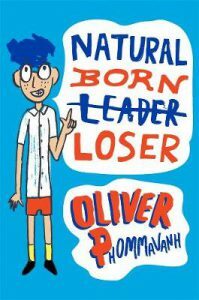 Raymond in Oliver Phommavanh’s Natural Born Leader Loser is a memorable character to whom children will relate and cheer on. He is in Year 6 at apathetic Barryjong Primary. Bullies run rife. New principal, Mr Humble who looks like a retired wrestler, wants to change the culture and selects four prefects: energetic soccer star Zain; forthright, hijab-wearing Randa; artistic Ally and Raymond who believes he’s a nobody. He doesn’t want to be in the spotlight but he does want to make the school better. As he challenges, and dares, himself he starts to make more difference than he could have imagined. The process is agonising at times but also full of fun, wildly creative ideas, jokes and wonderful emerging and changing friendships. 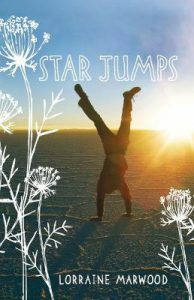 I would love to see all children in primary school, including quiet achievers like Raymond, read this book. It could change negative cultures and transform the timid into confident leaders without spoiling their natural personalities. Author-poet Lorraine Marwood won the Prime Minister’s Literary Award for Children’s Fiction in 2010 for Star Jumps. Her new verse novel Leave Taking (University of Qld Press) is just as good. Both are set on a farm and are for primary-aged readers. 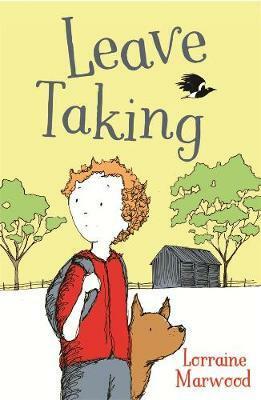 Leave Taking refers to both the title and Toby’s experiences as he and his parents pack up their dairy farm and the belongings of Toby’s younger sister, Leah, who recently died from cancer. Of course, such weighty themes are sobering but grief is recognised and faced through the natural rhythms of Australian rural life, Toby’s steps around the property and loving memories of Leah’s tangible and intangible footprints. The map of the farm on the front endpaper has changed by the end of the book as Toby revisits and labels special places: the machinery shed where both children scratched their initials in the concrete; the old red truck where Leah wrote pretend bus tickets during their last game there; and Memorial Hill where they buried pets and other animals and birds. Toby camps at significant places on the property but is always close enough to the farmhouse to help with the cows or have a quick check in with his mother. He is also comforted by the company of his dog Trigger. Leah was a gentle girl who loved stories and taking photos, shared jobs, delighted in April Fools’ jokes and left so many drawings that some will be taken to the new farm and the rest placed in the heart of the bonfire – which would have made her happy. 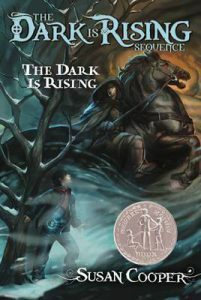 The writing is often sensory and poetic, beginning with a contrast between the light of the “faint silver of dawn” and the dark shadows outside Toby’s tent. 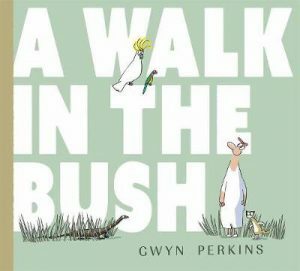 The author sketches the natural world of magpies and native trees and gumnuts with evocative strokes. She uses figurative language to describe the huge milk vat purring “like a big-stomached cat” and personifies the bonfire as a dragon. There is a supportive, although laid-back, sense of community and hope of new life with the imminent birth of a new baby as Toby maps his goodbye to his home and much-loved sister. 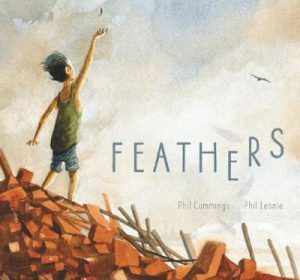 The cover illustrations and line drawings are by Peter Carnavas, who has just won the Griffith University Children’s Book Award in the Queensland Literary Awards. After creating a number of thoughtful picture books, Peter illustrated his first novel, The Elephant, a brilliantly executed study of a family’s grief and path to healing. I will always remember this outstanding novel when I see jacaranda trees in flower. Fleur Ferris has endorsed Lili Wilkinson’s latest novel After the Lights Go Out (Allen & Unwin) with the words, “A terrifying yet hope-filled story of disaster, deceit, love, sacrifice and survival.” These words could also apply to her new book Found (Penguin Random House Australia). 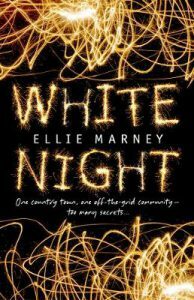 Both Australian YA novels have intriguing titles and are classy examples of thrillers set outside country towns in hidden bunkers. They complement, and could be read alongside, each other. 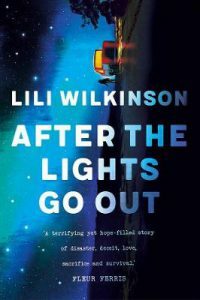 After the Lights Go Out begins with an absolutely riveting scene where homeschooled Pru and her younger twin sisters Grace and Blythe have to escape from their house on an isolated property on the edge of the desert to a hidden underground bunker. Their father, a mining engineer, built it in secret and named it the Paddock after Winston Churchill’s WWII bunker. We learn quickly that he is paranoid, anticipates secret government conspiracies and that he is a doomsday prepper. This is a training drill. Later, when the lights go out, the girls know that this is The Big One and they execute their exhaustive training and protocols such as Eat perishables and Exchange worthless currency for supplies. 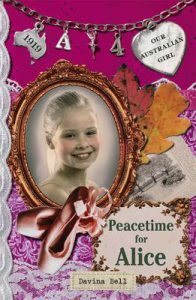 Tension ratchets because Pru is anaphylactic, there has been an explosion at the zinc mine and her father is missing, and the girls aren’t sure whether they should share their supplies with the townspeople of Jubilee. Bear, Elizabeth’s father in Found is also highly protective and intimidating. He wouldn’t be happy about her kiss with Jonah but he doesn’t witness it – he’s been taken by unknown people in a white van. 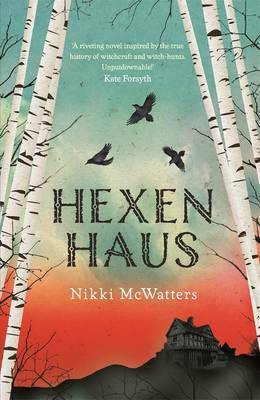 When her mother realises what has happened she whisks Beth out of town and through a cross-country route along channels across the paddocks to a bunker under a dry dam on their farm. This bunker is made from shipping containers and is as well-equipped as Pru’s. Their flight is also just as original and exciting. The reason for Beth’s family’s dangerous plight is quickly revealed and the story then steams ahead with help from Jonah (who shares the narration) and Trent, a bad boy who may be trying to reform. The stakes are raised even higher when Beth’s mother is shot. 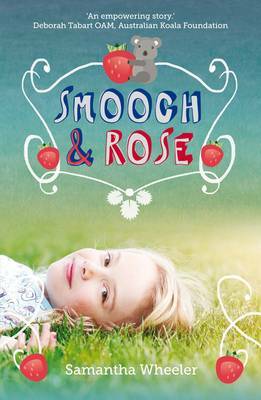 Both Fleur and Lili describe their very Australian rural settings with authenticity and care. 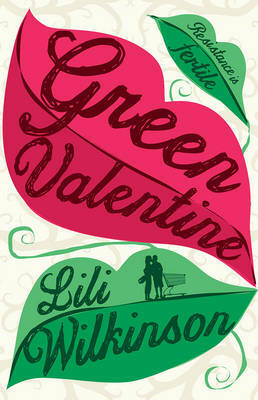 Lili’s diverse characters range from a British Asian church minister to warm-skinned love interest Mateo who has two mums. 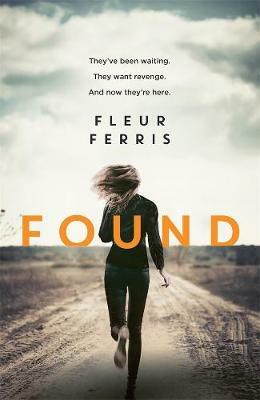 Found is action-packed and heartbreaking and will be relished by all high school readers who love a fast-paced, filmic read. 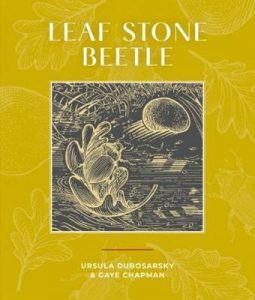 Leaf Stone Beetle is written by Ursula Dubosarsky and illustrated by Gaye Chapman. Its publisher Dirt Lane Press is a ground-breaking new publishing company based in Orange, NSW. 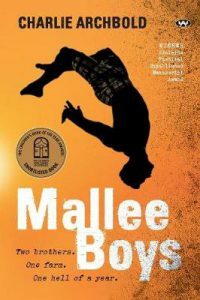 They believe in creating quality literature and are publishing books by some of Australia’s best, including Matt Ottley, Ursula Dubosarsky and Gaye Chapman. 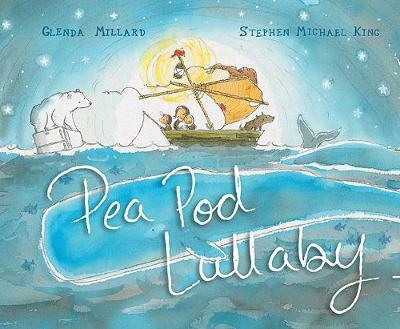 Leaf Stone Beetle is a deeply-considered, poignant tale telling the interlinked stories of leaf, stone and beetle. The book’s physical small, almost square shape is ideal for small hands and, along with its understated cover and ink and woodcut style illustrations, signals that it belongs outside the usual. Thoughtful, perceptive readers of all ages will find Leaf Stone Beetle resonant. Little leaf is the smallest and greenest leaf on the tree. When the other leaves change colour and are tussled away by the wind, it stays behind until swept by a gentle breeze to a stream. A stone lies on the bottom of the water and notices the changes in tree, weather and stars without expecting any transformation itself. When a storm moves the stone near the gnarled roots of the tree, it is terrified. Beetle is different from the other beetles. Without haste she absorbs the minutiae of her world. “She looked at the tiny purple flowers. She looked at a slip of golden pollen that fluttered by in the wind”. The other beetles realise that a storm is coming and scurry away. Beetle then has no one to follow home. The stories intersect when Beetle is kept safe by leaf and stone in completely natural ways. They are all accepting of their transient safety, recognising their ultimate role in nature’s cycle. With interest and without angst, readers glean that change is an inevitable part of life. Leaf Stone Beetle is a unique construct of narrative science and story in words and illustrations. It is simple, yet philosophical and profound. Other books illustrated by Gaye Chapman include Little Blue, Incredibilia, Precious Little and In the Evening. Some books, amongst many, written by Ursula Dubosarsky include Brindabella, The Blue Cat, The Golden Day, The Red Shoe, The Word Spy and The Return of the Word Spy. 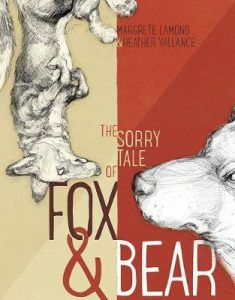 Other books published by Dirt Lane Pre ss include The Sorry Tale of Fox & Bear by Margrete Lamond, illustrated by Heather Valence. This wily, nuanced tale was shortlisted for the 2018 NSW Premier’s Literary awards. The Dream Peddler by Irena Kobald and Christopher Nielsen is published this month. The Storm Keeper’s Island draws on wild, Celtic-inspired magic and antagonism between the light and dark to create a dense, darkly atmospheric tale for middle grade. 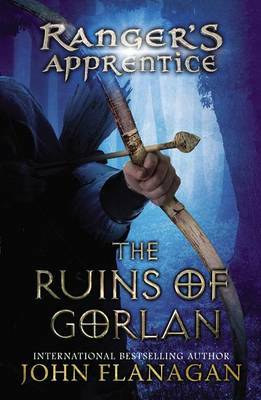 Eleven-year-old Fionn and his thirteen-year-old sister Tara are sent by their unwell mother to stay with their grandfather on the island of Arranmore. Fionn never met his father, who had strong ties with the island and died in the sea surrounding it. Fionn resembles him physically and wonders if his mother may be rejecting him because of this. He believes that he lacks courage and is afraid of the sea but wants to be his own person. When they arrive Tara joins her boyfriend, Bartley, and his friendlier sister Shelby in excluding Fionn while they search for the Sea Cave. The Cave is dangerous and is reputed to grant a wish to the one who can enter. Bartley desires to be the next Storm Keeper, the one who controls the elements using the island’s power. Island lore explains that ancient sorcerers, Dagda and Morrigan, fought for supremacy. After defeating Morrigan, Dagda left magic gifts behind to protect Arranmore: the Sea Cave; the Whispering Tree; the Merrows and Aonbharr, the Winged Horse. Fionn and Tara’s aging grandfather is the current Storm Keeper and his cottage is crowded with candles. These contain memories of past times and, in an unexpected form of timeslip, can take those who light a candle back to the storms and times enclosed within it. 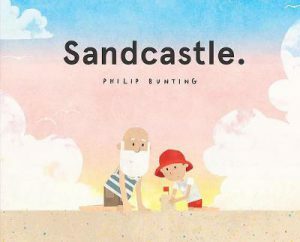 He and Fionn travel into memories together where his grandfather is a strong, powerful man but he often returns aged and forgetful, signalling his descent into Alzheimer’s disease. Arranmore reveals whispers of magic. The island holds secrets and is restless with layers of ancient, elemental magic peeking through. 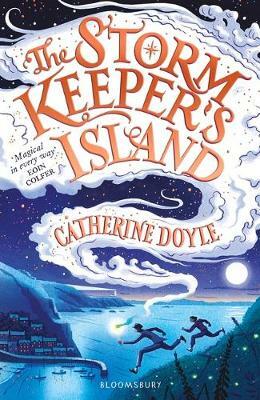 It behaves differently for Fionn and he wonders if he is meant to inherit the role of Storm Keeper despite his reluctance and fear. He learns that often the most difficult journeys are inside ourselves. When Fionn is fainthearted his grandfather advises him to “live a life of breathless wonder, so that when it begins to fade from you, you will feel the shadow of its happiness still inside you and the blissful sense that you laughed the loudest, loved the deepest, and lived fearlessly”. This mystical, original high fantasy is atmospherically reminiscent of Susan Cooper’s The Dark is Rising sequence. It is both enticing and reflective. The Storm Keeper’s Island is published by Bloomsbury Children’s Books. The sequel will be published in July 2019. 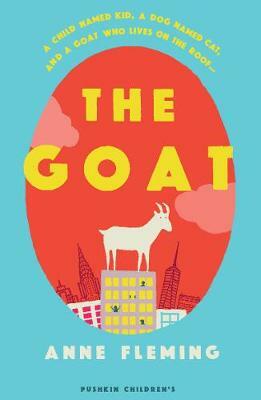 The Goat will appeal to both thoughtful children and young adults, as well as adults looking for an uplifting read. 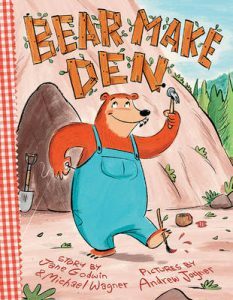 It could be a great read-aloud across age-groups. The premise of a mountain goat living on a New York skyscraper near Central Park suggests that this is a fabulist tale, but all is revealed in satisfying mode and time. Characters living in and near the building span the titular goat as well as a cast of two children and a range of adults. Kid and her parents have arrived from Toronto to look after a dog named Cat. Her mother has written and is about to perform in an Off-Broadway show: Hockey Mom: The Musical. Lisa is a quirky character, with funny ways of showing both her nerves and her love towards her family. Kid is shy and avoids looking at people‘s faces but soon strikes a rapport with Will, who can’t bear windows since his parents were killed in the exploding Twin Towers. His grandmother, retired chemist and writer Dr Lomp, home-schools him and keeps a close eye on him. The two children love exploring museums and there is some thoughtful discussion between them and others about the Towers and Ground Zero. Doris is an elderly woman who cares for her husband, Jonathan, who has suffered a stroke but doesn’t want his wife to know that he can do more than he shows. He enjoys watching the goat eat Doris’s wheatgrass without her knowing why it doesn’t grow. The goat traverses the building looking for food but is reluctant to cross the “clangy black cliff … the noisy tree-ish creatures that roamed the ledge … the river of giant moving clumps” to where he can see abundant food. He loves to gambol even though he never feels completely safe. Kenneth P. Gill is an enigmatic character who leaves hay outside his window. Joff Vanderlinden is a blind skateboarder and famous young writer. He also loves playing chess in Washington Square Park and longs for another encounter with the woman who beat him, called him “buckaroo” and hasn’t returned. All these strands begin to intersect when Kid and Will knock on every door in search of someone who could confirm that a goat lives on Kid’s building. Backstories about both the goat and human characters are revealed with poignancy and tenderness, leading to an intertwined, heart-lifting finale. 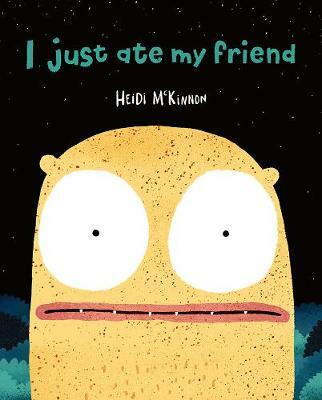 Since the CBCA shortlist was announced I have been blogging about the 2018 shortlisted books and am now concluding with the Early Childhood books (in two parts). 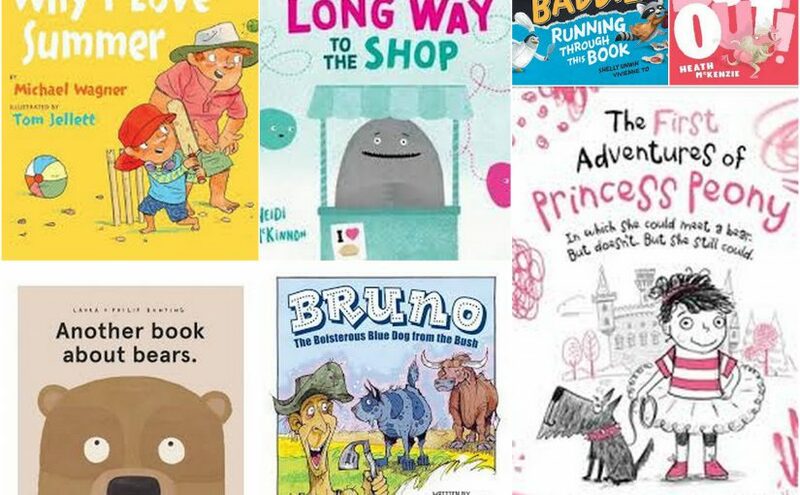 You may find some of the ideas across the posts helpful for Book Week this month. 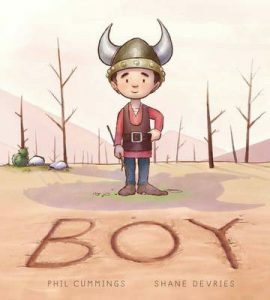 Boy is a morality tale about conflict and misunderstanding; understanding & communicating. It covers issues of deforestation, fighting and living in harmony and peace. The trees on the mountain are destroyed by a powerful dragon, which illustratively evolves from threatening to cute during the tale. People are blaming others and fighting. Boy can’t hear the fighting but perhaps he can understand the situation better than anyone because of his hearing loss. 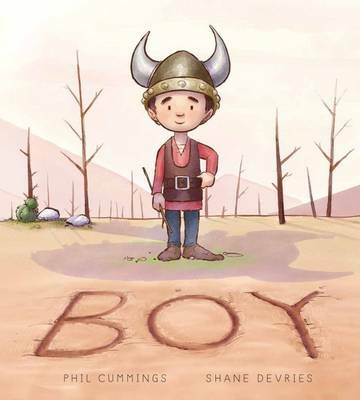 Might the boy be unnamed because the book is aimed at all boys or for all children? The digital illustrations are an unusual colour palette of mauve, brown and blue tones. The endpapers could be copied and used for the card game ‘Happy Families’. 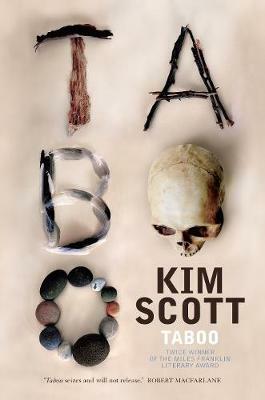 The cover is tactile, with the word ‘BOY’ written in sand. Boy communicates by drawing pictures in sand. Children could write an important question in the sand (sandpit or sandtray) e.g. ‘Why are you fighting?’ alongside a picture. Children could further develop awareness and affirmation of the hearing impaired. This could include learning some Auslan and also saying ‘Thank you’ ‘with dancing hands’ like Boy does. Children could look at the endpapers to see how the children at the start become adults by the end. They could draw themselves as a child and then as an adult, imagining a possible future. Onset and rime in the rhyming text include ‘day/stay’ ‘small/all’ ‘yet/vet’ ‘far/star’ and ‘strife/life’ (others are more difficult for very young children). 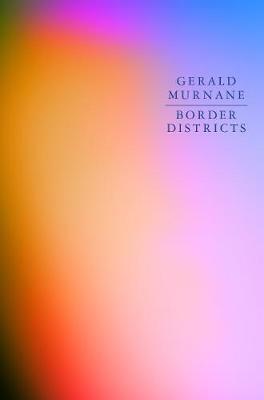 Many countries are represented in the book e.g. Syria, China, Afghanistan and Italy. The refrain, ‘How about you?’ could be answered by readers and they could also suggest which countries are not represented; which Australian capital cities and other places are mentioned and what are some missing Australian places? Children could show or make flags for countries represented by students in the class or school. I’d love to be a vet. 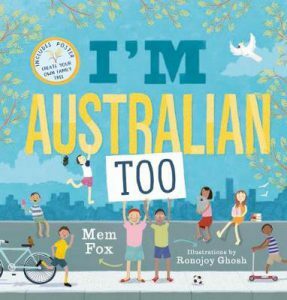 Australia’s refugee situation is political, and far more complex that this, but I’m Australian Too will no doubt influence children’s attitudes towards refugees. 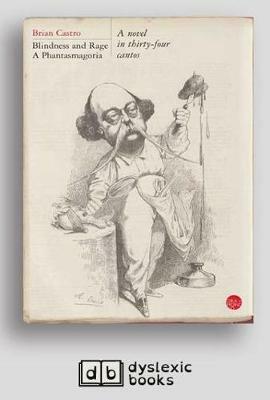 The title has a double meaning and the book is humorous in words and pictures. It’s unusual that readers are able to see the missing pen and other objects, a mark of slapstick. Rodney Loses It! is slapstick in book form. The illustrative style is cartoon-like; lively, bright and shows active body language. The writing shows good word choice and maintains a successful rhythm. Children could compare the endpapers, which are different. Rodney loves drawing but loses his favourite pen, Penny. The illustrations show the pen and other missing items. The message or moral is that we can love doing things but not get around to them because of distractions. In the story, Rodney could have used other colours but he was fixated on one pen and one colour so he missed out on doing what he loved. Children could draw pictures like Rodney’s or make Rodney using play dough and LED lights for his eyes or pen. Posted on August 12, 2018 Author Joy LawnCategories Book News, Book Reviews - Childrens and Young Adult, Joy LawnTags #ByAustralianBuyAustralian, Book Week, boy, CBCA shortlist, children's picture books, I'm Australian Too, Joy Lawn, Rodney Loses It! 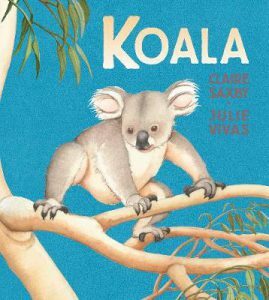 I have been posting about the CBCA 2018 shortlisted books and am now concluding with the Early Childhood books (in two parts). You may find some of the ideas across the posts helpful for Book Week in August. This picture book is imaginative and exciting. It is also humorous, for example the teacher’s funny but apt name – “Mrs Majestic-Jones”; Ruby Lee is the best at announcing “Hark, it’s me, Ruby Lee!” – an unusual gift; and tactful George Papadopoulos even suggests that Ruby Lee be quiet and still but then she even loses him. Ruby Lee loves helping. Young readers could compare and contrast her with helpful Debra-Jo in the Little Lunch TV series and books. Vocabulary is interesting and extending, e.g. hark, intrepid, valiant, ingenious. The illustrations are in a cartoon manga style where the heads are large in proportion to bodies and the eyes are big and exaggerated. Children could view online how-to-draw tutorials and construct their own characters in this style. They could colour them using the colours in the book. Children could act out some of the things Ruby Lee does; collect things she loves and invent fictitious creatures like she does. Gilbert the penguin falls into another world (almost like into a rabbit hole) – the ocean. He must find where’s he comfortable, at home and can fly. 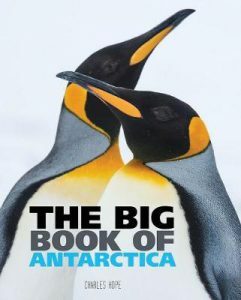 It is a fictional narrative but also an accessible information book, particularly about penguins, without being forced. It utilises many verbs and active language: waddled, flapped, waddled and flapped; slipped, tripped, stumbled; slipping Spinning Stumbling Tumbling; tumbled, bubbled and sank. 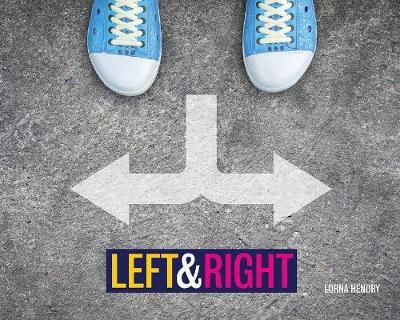 The book’s message is that everyone is different and everyone must find their own strengths. 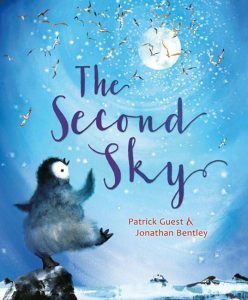 Before reading, children could suggest what a second sky might be. Children could make a model of Gilbert and possibly one that moves using rubber bands. 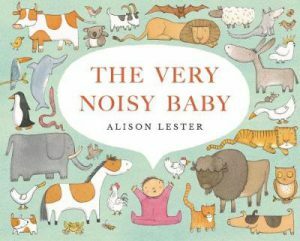 This is a clever, funny book for babies and those who read to them. It is carefully structured in 2 parts: firstly, where the animals are reported lost; and then when they reappear in the park. The book begins with observations of baby noises, which people mistake for animal noises. There are carefully placed visual clues that prompt the baby to make an appropriate noise e.g. stripy sleep suit, on rocking horse. 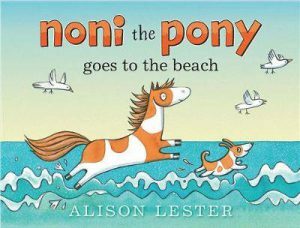 Other books by Alison Lester could be read, particularly Noni the Pony and My Dog Bigsy (a dog like Bigsy also appears in The Very Noisy Baby). Mae moves to a new home, an apartment. She is sick of all the packing boxes but draws on many of them, particularly drawing daisies. She misses gathering things for her treasure jar. After going to the park, she finds a forest inside a florist but it is closed. A ‘stalk of green [is] peeping through a gap … a piece of forest’. It becomes a treasure for her jar. She goes on to grow a plant for her new (shared) garden. Themes include moving home; making new friends; the importance of greenery, trees, gardens; and natural and built environments. Children could compare and contrast the endpapers (there are different creatures in each). 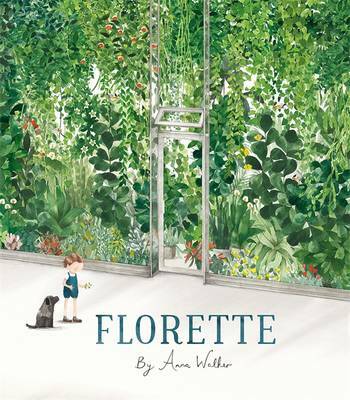 They could consider the meaning of Florette and related words such as florist and forest. Garden They could make a terrarium or a green wall – a vertical garden or area covered in ivy or vines, dotted with flowers including daisies, model toadstools, other foliage and small model or toy creatures e.g. rabbit, turtle, bird, ladybird. Mae’s movements could lead to making a story map – on paper, cardboard, or using an app. Other books by Anna Walker include Today we have no Plans, Go Go & the Silver Shoes, Peggy, Starting School and Mr Huff. This is a cumulative tale with people joining in like in Pamela Allen’s Alexander’s Outing. There’s even a nod to the fountain of that book. Humour Examples of humour include Gumboots who doesn’t stop to chat with anyone while escaping; the mother chasing him in towel; and the illustrations that sometimes tell a different story. Freya Blackwood uses her signature spotted clothes and domestic details e.g. an ironing board. Red is used as a ‘splash’ colour and there is a worm’s eye view of the underground tunnel. Themes community; simple outdoor pleasures; friends (even for rabbits); and how rabbits multiply. The endpapers of this picture book are like a board game, which children could play on. Children could look at a doll’s house where the front wall is removed. They could make a cutaway diagram (where some of surface is removed to look inside) showing the inside of the house and tunnel (as in the last double page spread). Or they could make a model inside a shoebox lying on its side. This tale is taken from the ballad of Swan Lake, a tragic love story of a princess transformed into a swan by an evil sorcerer. The women are swans by day and humans by night. The princess plans to meet the prince at midnight at the ball. 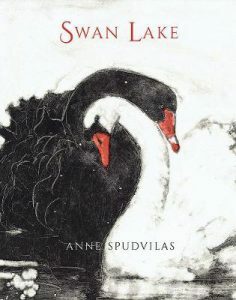 The sorcerer’s daughter is disguised as the Swan Queen and the prince chooses her as his bride. 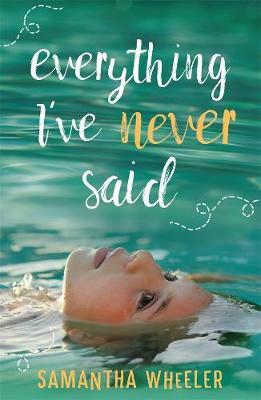 The book is described as passion, betrayal and heartbreak in the Murray-Darling. Children may be able to identify the region from images of the area and the book. The book is structured/played in III Acts, like the ballet. The written text is followed by pages of illustrations. Children could listen to some of the ballet music e.g. Tchaikovsky’s Swan Theme; Saint-Saens’ The Dying Swan. Ballet in pictures They could view some of the ballet. Visual Literacy The colours are mainly monochromic, with red as a splash (feature) colour. Camera angles show some variety: from underneath – red queen; from above – fleeing girl. There are close-ups of the swan face and neck; black bird of prey. Texture Children could emulate the texture through printmaking using leaves and sticks. They could animate the transformation of swans to women using https://goanimate4schools.com/public_index or other animation programs or apps. 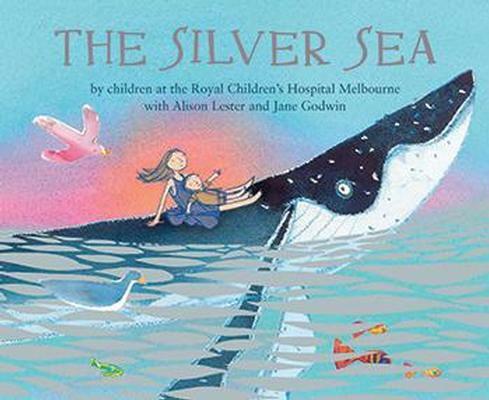 This picture book is Carole Wilkinson’s memoir of immigrating from Britain to Australia as part of the Assisted Passage Migration Scheme, so it could also be regarded as an information book. Detail is shown to give verisimilitude. Migration Carole Wilkinson packed her 101 glass animals and even tried to pack soil to take to Australia. Imagining they are migrating, children could be asked what treasured possessions they would take. Compare/contrast Children could compare and contrast migration in the 1950s and 1960s with other ways of migrating to Australia in the past and present. They could use Popplet (a mind mapping tool http://popplet.com/ ) to organise their ideas. Poem Carole Wilkinson wrote a poem about her empty house. Children could write a similar poem, including their circumstances and their emotions if leaving home. Some of her illustrations pay homage to John Brack’s paintings in style & colour and some of her other books are One Photo and Desert Lake. 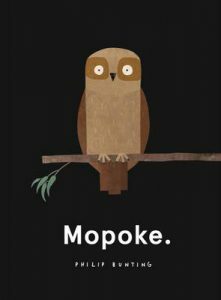 Mopoke is structured using black and white alternating pages. The pages are well composed with the mopoke carefully positioned on each. 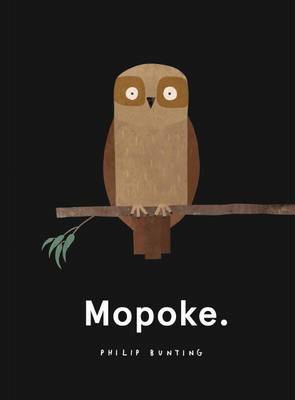 The style is static, with a picture of mopoke in different poses. This style can also be seen in Sandcastle by the author/illustrator; and the Crichton shortlisted, I Just Ate My Friend by Heidi McKinnon. The book can also be dark e.g. ‘Nopoke’, where both pages are black. 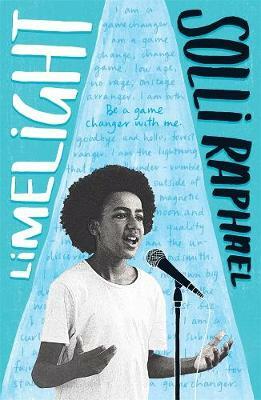 Children could perform the text as a performance poem (see the work of Sollie Raphael, teen Oz Slam Poetry champion, who has a book, Limelight). Safe styrofoam printing (like lino cuts) Children could select one of the mopoke pictures or design their own to make a printing tool. They could cut the rim off a styrofoam plate; etch the mopoke shape using a blunt pencil, pen or stick; etch some texture; add paint; place the paper on top and press. Poster Making The bold, striking illustrations reflect current trends in graphic design so children could make a poster of a mopoke in this style. ‘The best 8 tools to make posters for your classroom’ https://www.educatorstechnology.com/2013/02/the-best-10-tools-to-create-postersfor.html or use Glogster. There’s an interesting relationship between Grandad and (possum-like but actual cat) Iggy. Iggy doesn’t want to emulate Grandad; he seems more aware, while Grandad often seems oblivious to what they see in the bush. The author/illustrator has a detailed eye for natural bush sights and sounds such as plants, animals and birds and silhouettes and shadows are executed in a light colour. The style is reminiscent of Roland Harvey. The bushland setting is an integral part of A Walk in the Bush. To enable children to experience this, teachers or parents could find an area where there is some bush. It may be part of a State Forest, nearby bushland or a bushy area within a local park or the school playground. Sensory Wheel Students look, listen and use other senses to note the sounds, sights and other features of the bush e.g. eucalyptus leaves to crush and scribbly marks on trees. They could record sights, sounds, smells, feel/touch, taste (where safe) on a sensory wheel. Children could create literary texts by selecting one of the senses to focus on. They write a brief sensory description of the bush using language generated from their experiences in the bush. Soundscape While in the bush, could listen to and identify bush sounds. They create then a soundscape by listing five of the sounds and recording these. The free recording tool Audacity could be downloaded to create soundscapes http://www.audacityteam.org/download/. Thanks for speaking with Boomerang Books, Eleni. You’re most welcome and thanks so much for having me. I’m based in Melbourne. I lived in Greece as a child but came to Australia as a non-English speaking migrant at around eight years old. My work background is mostly journalism. I was a reporter at various newspapers (five years at the Herald Sun) and then a communications strategist for the union movement for five years. Since having kids I have had to take a step back from that sort of high-octane work. How involved in the YA literary community are you? I first became aware of the LoveOZYA community through author Nicole Hayes. I was a member of her writing group and as my manuscript progressed she spoke to me about where she thought it might fit and how wonderful and supportive people were. 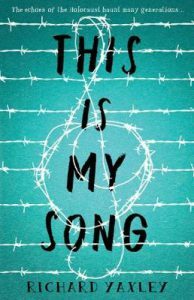 I love reading YA, especially Australian YA, and following other writer’s journey on social media. I’ve found the LoveOZYA community inspiring and vibrant. I love being a part of it. There’s a real effort to support each other and this makes the sometimes insecure life of a writer easier. We celebrate each other’s wins and commiserate with difficulties. Stone Girl (Penguin Random House) is a searing, unforgettable story. 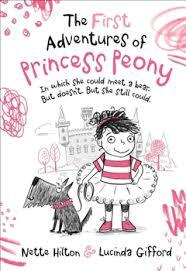 Could you tell us about the protagonist Sophie and the symbol of a ‘stone girl’? As I write my second novel I realize that I’m interested in the triggers and experiences in life that change as. What needs to happen to transform a person from one thing to another? As a journalist, reporting straight news, I would be stunned by the things people did and wonder how they grew from a kid into this adult. What forms their decision making and choices? Stone Girl follows Sophie’s life from 12 to 16 years old as she becomes someone society typically judges, despises and ultimately dismisses. The persona of Stone Girl is her survival mechanism in a world where there’s no one to rely upon but herself. Sophie soon comprehends her place and makes a number of decisions about who and how she must be in response. It’s about resilience. She toughens up, she becomes Stone Girl, and this is both positive and negative. Hardening herself, especially against adults, serves to both protect her and isolate her because stony self-preservation cuts both ways. She doesn’t trust anyone. Doesn’t ask for help even though she often desperately needs it. Her Stone Girl persona is what she uses to hide her vulnerability. When she lifts her chin against the world then she can shut out the things that have happened to her. She uses her anger to protect her. But in the end, it’s what she does with the Stone Girl facade that makes this a story of redemption. Most of us have a mask we wear in order to fit in and protect ourselves. It just happens that Sophie has to wear hers 24 hours a day. Could you tell us about some significant other characters? Gwen is one of my favourites. Girlfriends have been the backbone to my life. They’ve saved me many times over, from my sister to the besties I’ve known over the years. I love the closeness and trust that grows between some women. The friendships in the homes Sophie moves through are formed as fast as they must be abandoned but in Gwen, Sophie finds a true ally. It’s a friendship that underscores everything else. It doesn’t just disappear because there’s a love interest. I think of it like an old western when there’s a shoot-out and friends protect themselves by standing back to back. Gwen and Sophie bond in the knowledge that, despite appearances, adults actually have no idea what they’re doing. Spiral came to me when I was at the Varuna’s Writer’s House. I knew Sophie needed someone, possibly a love interest, but I couldn’t figure out who would be strong enough break through to her. Then, as I strolled through Katoomba, Spiral’s form became clear. I saw what he looked like, his motivations and that, like Sophie, in a world of broken promises, he too needed someone to trust. Writing about Spiral was fun, especially at first. He’s gorgeous! 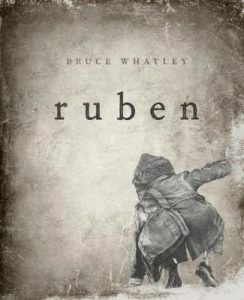 A fiery and enigmatic character that I was drawn to completely – his name serving as prophesy. I’ve always loved books with gritty honest characters that both shock and charm and I try to write this way. 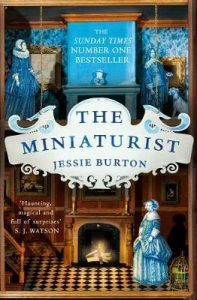 How did you create such authentic experiences in the homes Sophie had to live in and her spiral into such terrible situations? This is fictional novel but I have borrowed heavily from my time as a teen growing up in group homes. I tried to write the real story but felt unable to. Fiction freed me up and images and events appeared quite clearly to me; the rooms, the feelings, the flavor of being of being someone who lived that way. I put myself easily into Sophie’s shoes. When I lived in the homes there were many younger kids and I’ve thought about them so often since. Sophie is how I imagined one life. You’ve made drug-taking very appealing at times, e.g. chapter 22? How did you weigh up the risk of including this? The truth is that before drugs destroy you, they feel good. That’s the trick. That’s why people keep taking them. If I pretended they were terrible all the way though then this would not be the realistic trajectory of addiction. It could be dismissed and then this would not be a true cautionary tale. Protectionism is not helpful for most teens, especially when you consider the type of world we live in right now. How important is Sophie’s racial background to the story? Her racial background and her estrangement from her Greek family contribute to her feeling of dislocation. She doesn’t belong there. She has no family here. She must let go of the past and carve her own way through the world. Like Sophie, I grew up in Greece and left family behind. My Greek heritage and the memories of leaving my first home have significantly contributed to who I am today and I found it quite cathartic to include this in Sophie’s life. What does she learn about family and others? When she first goes into the homes Sophie is hopeful that she will once again find family, either with a social worker or with her Baba. However this is not to be. Sophie soon understands that in a world where the only constant is change, she can only rely on herself. With the kids in the homes there’s a unique bond that makes them a kind of family – albeit temporary. Could you explain what turned her situation around towards the end of the novel – and why have you chosen this form of redemption? 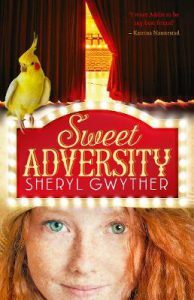 The fight to survive that carried Sophie through is her saving grace. I actually didn’t know how it was going to end until three or four drafts in. I just kept thinking, this is not the story of a victim. And finally I realized what had to happen. Kids in care, people with addictions and the homeless are either viewed with pity or fear and I wanted to show how we should never underestimate anyone. People are amazing! They want to survive and many can achieve much given a chance. You thank God in the Acknowledgements. Why have you done this? Doing something you love, answering a calling to the self, which is what writing feels like to me, can mean many sacrifices in other areas of life. Financial, physical, mental; you turn yourself inside out. I found myself praying more. Especially after writing I feel quite close to ‘God’. This isn’t in a religious way but more a universal spiritual one. Who would you particularly like to see read your novel? Everyone. I need to fund my next novel. But seriously, I guess if I was choosing readers based on getting the message across then I’d hope people from the world that deals with kids like these. Social workers, kids in care, etc. I’ve also loved the responses I’ve received from those who are surprised about this world. I would like there to be a common understanding about the fact that hundreds, if not thousands of kids live this way right now in Australia. A public conversation about kids in care could finally bring change to this difficult, misunderstood and largely ignored section of Australian society. That, for me, would be a dream come true. I’d love to know that others wouldn’t feel the way I did when I was living in government care in the early 1990s. Have you already had any memorable responses from readers to Stone Girl? A redit post my husband put up went viral and I was shocked and amazed by the response. Social workers, lawyers, ex homes and foster kids from around the world commented and it solidified what I had always suspected. Despite the fact we don’t often acknowledge the plight of kids without parents, the situation matters to many. It’s a private pain. Or a job they really care about. Or they don’t know how to help someone… Some of them contacted me after reading Stone Girl, sending quite heartfelt messages. As an author, this is the best feeling in the world. 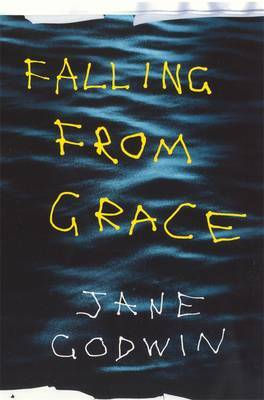 Putting aside the issue of kids in care, I wrote this book because gritty subjects, love at ‘the edge of a cliff’, characters living dangerously is what I find interesting to read. I’ve been floored by the generous reviews so far, especially those where people say they couldn’t stop reading. The number one reason for writing a fictional book has to be entertainment, doesn’t it? This was the first review I received and I remember the relief I felt. Rob at Lamont Books really got what Stone Girl was about. Wow! 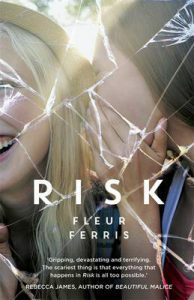 This is a must read novel for older teens, but a word of caution – it is definitely a YA title aimed at teens 15 years and older. It took me back to my school days reading Go Ask Alice, which I found totally confronting, but at the same time an educational and inspirational cautionary tale. 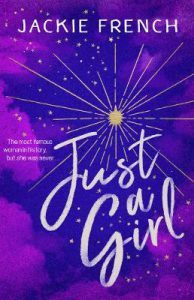 Stone Girl is certainly that as it takes us on Sophie’s downhill journey through institutional care as a ward of the state from when she is 12 until she is 16. 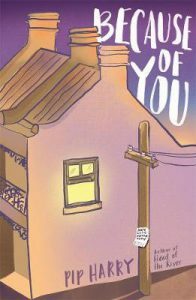 It is written with a real understanding and depth of character, as it is inspired by the real life experiences of the debut author, journalist Eleni Hale. Many dark topics are covered including death, poverty, heartbreak and substance dependence. 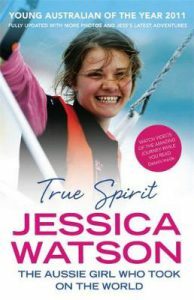 But shining through the story is identity, survival, resilience and ultimately a coming of age empowerment. I will not give the story away but suffice to say you cannot help but be swept along by the incredible Sophie, as the world continues serving up crap to her. She often stumbles and is so very nearly broken, but we continue to hold out hope for her throughout the story. Stone Girl will change the way you look at the homeless, and hopefully enlighten young minds as to the plight of wards of the state. This is a brilliant debut, but as it does contain extreme language, mature themes and substance abuse, it is suited to older teens, 15 years and up. How can we protect young people and help if we encounter someone in a situation like Sophie’s or someone at risk? From memory and for reasons I can’t really explain, kids in care seemed to be treated differently, like no-hopers. I don’t know if it was the way we dressed or looked. Maybe we were too loud or other times we seemed too quiet and uncommunicative. I just know that people changed towards you once they knew you were a kid who lived like that. From cops, to teachers, to people on the street, I was often hyper-aware of being a ‘lesser other’. So in terms of talking to them in an encounter, simply show respect even if you don’t understand them, hold your judgment before you really know them (perhaps after as well) and don’t assume the worst. Also important is to support the organizations set up to help them such as the ‘Make It 21’ campaign that seeks to extend support from 18 years old to 21. This could lessen the shocking number of government kids who end up homeless, drug addicted and/or mentally ill.
It’s really hard to get through to someone like Sophie once they hardened up. They guard strictly against pity and judgment. The communication channels are nearly closed. Improving their experiences in the ‘system’ is obviously an important way to avoid their slide into the margins of society. I don’t have all the answers for this – I don’t think anyone does – but talking about it publically is a good start. Don’t let their lives be our society’s dirty secret any longer. Let their issues matter the same way that other’s kid’s problems are discussed regularly in public forums. 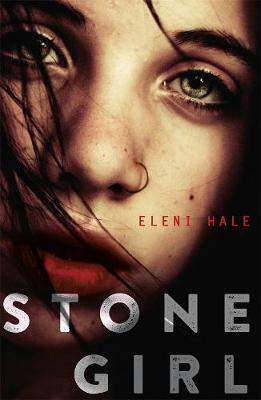 I’m writing the sequel to Stone Girl. What happens after you leave the home system and your support is cut off? What will Sophie do now that she is out in the world and responsible for herself in every way? She has no family and must scrape together the money she needs to live. Where will this new fight for survival lead her? It’s as gritty as Stone Girl. I find myself alternating between adult and YA books. I recently read Ballad for a Mad Girl by Vikki Wakefield which I loved. Then I read Richard Flanagan’s The Narrow Road to the Deep North which was disturbingly brilliant. But Mirandi Stanton’s The Fish Girl is the best book (novella) I’ve read so far this year. Bren MacDibble/Cally Black has blasted onto the Australian literary scene for youth with How to Bee for younger readers and In the Dark Spaces for YA. She is a fresh, authoritative talent; writing outside the mould. 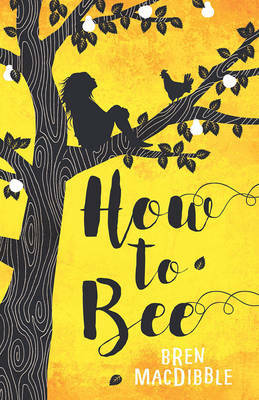 How to Bee won the Patricia Wrightson Prize – NSW Premier’s Literary Awards & was shortlisted for the Griffith University Children’s Book Award (Qld) and Children’s Literature Award – Adelaide Festival Awards. 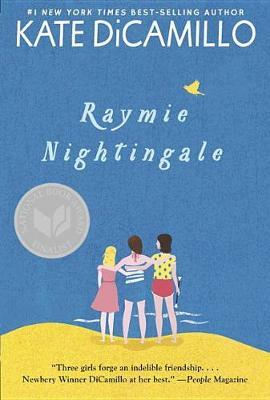 Read a synopsis and the NSWPLA judges’ report here. The writing is sensory where it describes white cockatoos, fruit, a ‘face puckered like a burr on a tree trunk’ and Peony’s flawed Ma as a lemon, ‘You think it’s gotta be good coz it’s so big and has perfect skin but when you cut it in half you find out its skin is so thick there’s just a tiny bit of pulp inside and that it just ain’t got enough juice to go around’. 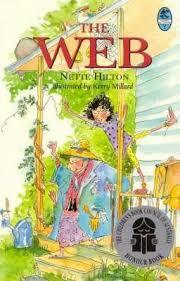 Students could write about other characters or people in their own families, describing them as fruit in lyrical style. Domestic violence, making this novel most appropriate for mature, older children. Pollination/Bees/Honey is a potent theme. Families or schools could investigate setting up a bee hive, particularly with native stingless bees. Compare the taste of commercially and local, unrefined and unheated honey. Cycles There are a range of cycles within the tale: ‘the farm’s full of circles. Bees, flowers, fruit … all overlapping circles.’; seasons, places (from which characters leave and return); and a death is replaced by a new baby. Concrete Poetry: Circle Shape Poem Children could write a Circle Shape poem about one of these or another cycle, where each line has an extra word, then decreases to make a circle shape. It is a sci-fi thriller/ hostage drama set in future space. Tamara lives in hiding on one of the intergalactic freighters. These are named after songs e.g. Lucy in the Sky, Jolene, My Sharona and Delilah. Her freighter is attacked by Crowpeople/Garuwa and she is kidnapped after witnessing mass murder because she is able to communicate with the Crowpeople. Through Tamara, we learn to understand the Crowpeople, who only take the resources they need to nurture the hives in their ships, which in return feed the inhabitants. Unlike humans who sell excess for profit. 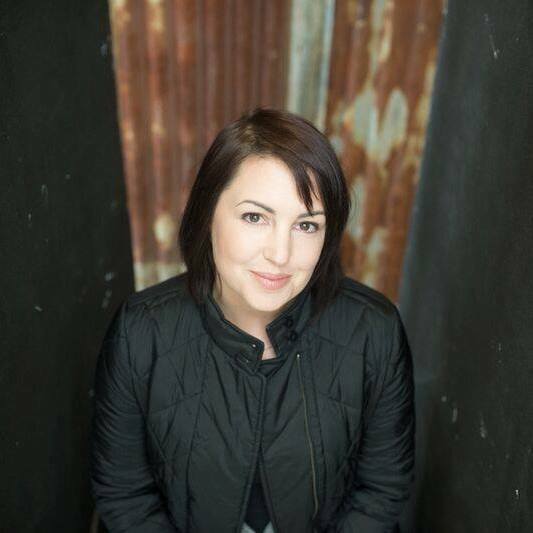 Cally Black’s voice here is original – raw, strong and captivating. 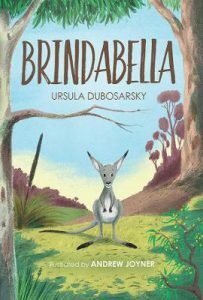 Dinkus When I interviewed eminent Australia author Isobelle Carmody recently, I was excited to learn about the ‘dinkus’. The simplest way to indicate a section break within a chapter is to leave a blank space between paragraphs, but designers often prefer to use a symbol or glyph. These are often three horizontally placed asterisks but asterisks can be replaced with other symbols. 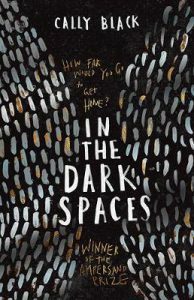 Crowpeople in In the Dark Spaces have three ‘shiny talons’ (page 41) sticking out from their boots. 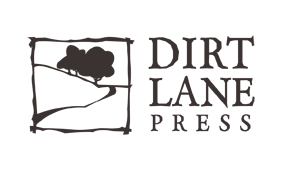 This symbol is used as a dinkus in the novel e.g. on pages 183,270. Students find the talon dinkus in In the Dark Spaces, and then look for symbols or glyphs in other novels. Lightgraff Art (or lightgraffiti) is drawing or writing with light. It combines photography and calligraphy. It can be a live performance or recorded on video or time-lapse photographic stills. It is often used to embellish settings by highlighting or enhancing elements of the scene with colour, line, shape or script (using light). Examples can be seen by searching online for ‘lightgraff images’. ‘weapon-fire snaps and sizzles the ceiling and walls’, page 44; ‘a blast cracks the air’, page 46; bolts of light’, page 295- (rockets); and other battle scenes. Light sources (such as a torch, lamp, lantern or spotlight) can be used to highlight features against a dark setting. Silhouettes of characters could be juxtaposed against light-embellished settings. Gunfire could be represented as light in lines or flashes (if appropriate). Words could be drawn with light (possibly using sparklers or a torch). These words could represent themes from the novel such as ‘space battles’, ‘hive’, ‘protection’, ‘greed’ and ‘Crowpeople’. Peter Carnavas and Lisa Shanahan have been shortlisted for The Elephant and The Grand, Genius Summer of Henry Hoobler in the 2018 CBCA Book of the Year: Younger Readers category. 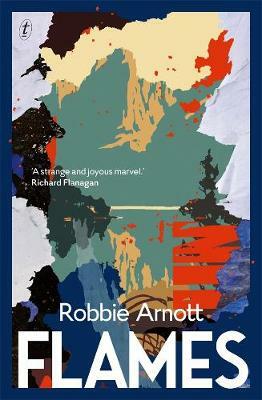 The Elephant has also been shortlisted for the Patricia Wrightson Prize – NSW Premier’s Literary Awards. Read a synopsis and the judge’s report here. 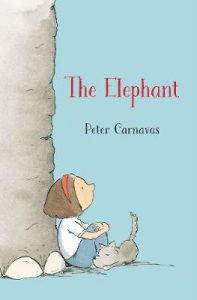 It is Peter Carnavas’s first novel, after an impressive output of picture books, and he has illustrated it with black and white line drawings. Tree & Paper Planes Like Martine Murray’s two shortlisted books, a tree is a symbol here. It is Olive’s ‘thinking spot’. Her grandfather cares for her since her mother has died and her father become incapacitated by grief. Grandad makes and flies paper planes with her. Children could make coloured paper planes, write positive messages onto them e.g. ‘You have a wonderful laugh’ and tie them to a jacaranda (or other) tree to emulate some of the events in the story (see pages 125,142). Other Symbols in the novel are the elephant, tortoise and the dog. Elephant The elephant is the major symbol. Olive’s mother had made a clay elephant which is now broken. Typewriter (page 38) Grandad typed poems for Olive’s mother. Students choose or write poems and type them using a typewriter. Side by Side song. Grandad and Olive love this song. Children could also listen to it and sing along. 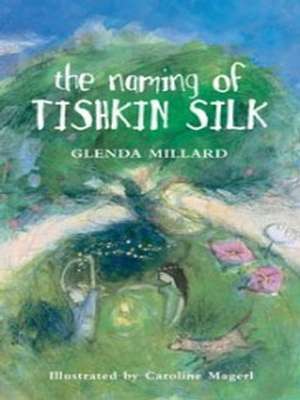 Read Also read the Kingdom of Silk series by Glenda Millard, Stephen Michael King picture books and Peter Carnavas’s own picture books. 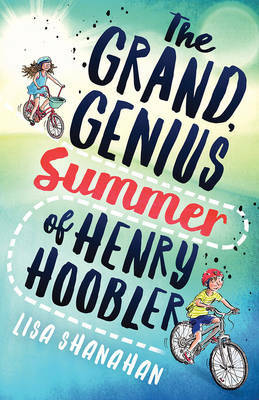 The Grand, Genius Summer of Henry Hoobler won the Griffith University Children’s Book Award (Qld). 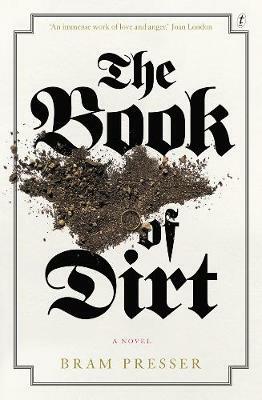 I interviewed Lisa Shanahan about the novel for the bog here. Read the QLA judges’ report here. Drawing Worry Henry is a worrier and describes worry as a ‘big round grey tumbleweed of dust, with skinny black-and-white-striped legs poking out of and red boots’, pages 10-11. Children could draw their own visual interpretation of worry. 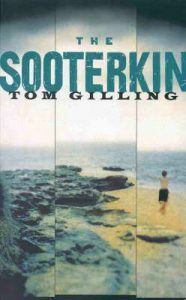 The beach is the setting of many Australian holidays and is integral to this story. Children could create freeze frames of characters superimposed over a green screen beach setting. Students select a character e.g. Henry, his two siblings or his new friend, Cassie. Choose three scenes where they appear in the book. Green Screen Superimpose students in their freeze frame poses onto virtual backgrounds or animated digital backdrops of the beach. Parents are important in the novel. Henry’s parents have different personalities. His mother is an introvert – understanding with some anxiety. His father is an extrovert – exuberant (page 47), with a big, wild love (page 141). If completing the activity about the beach (above) at school, include the children’s parents by giving them the opportunity to upload the beach film using the ‘Seesaw’ app or equivalent. 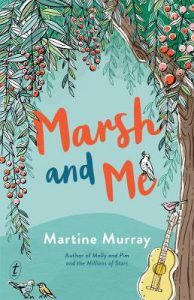 Martine Murray has been shortlisted for two of her books in the 2018 CBCA Book of the Year: Younger Readers category. Henrietta is a big thinker. She’s a great go-getter, determined, adventurous, endearing and exuberant. She has a strong young voice. Yet she’s shy. The book is well designed and is illustrated by the author. 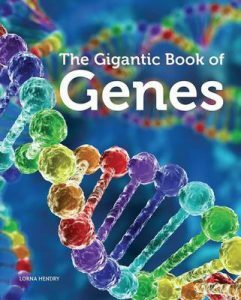 It contains short stories – which are quite sequential but stand alone. In the stories Henrietta’s mother is pregnant; she starts school; has a sleep over; stars in the school play; and awaits the birth of her new sibling. Henrietta pretends to be a spy; does ‘rescues’ e.g. a bee and the other new girl, Olive; and she stands up for ‘small things’. A tree features here, also in Marsh & Me and in the companion novel Molly & Pim & the Millions of Stars. Henrietta and Olive peg Olive’s brother’s pyjamas in the tree. Children could cut and decorate paper pyjamas, perhaps using a template provided by a teacher or parent, and peg these onto a tree branch standing in a pot. Seasons are addressed as Henrietta waits for the baby and the tree shows how the seasons change. 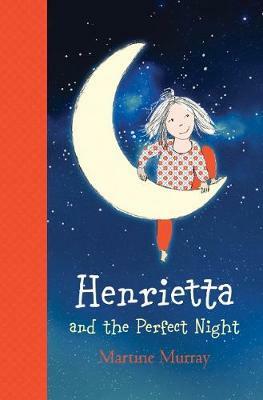 Previous Henrietta stories are being republished in a 3 in 1 volume. I’ve not long finished reading Marsh and Me (Text Publishing), and couldn’t wait to write about it. 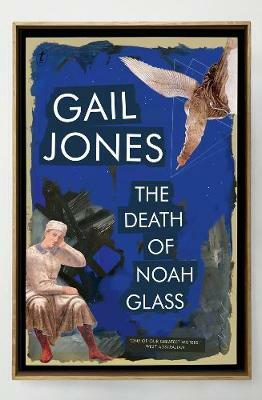 It is a beautifully written, dense and imaginative work brimming with thoughtful and important ideas. Joey believes that he is a nice, ordinary boy who wants to skip puberty. He doesn’t like the word ‘puberty’, thinking it ‘slightly pushy’ but he does like the word ‘luminous’. He’s shy and sensitive, a ‘noticer of feelings’ and has one friend, Digby, who likes science. When Joey climbs the hill one day he finds someone occupying the treehouse. Marsh is a ‘wild girl’ and the ‘Queen of Small Things’. 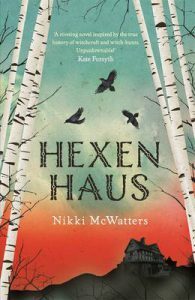 She has secrets and tells the story of the Plains of Khazar which may be history, fairy tale or folklore. She sings to Joey and the first note ‘rings like a golden bell’. Even though Joey doesn’t always like Marsh, he is intrigued and concerned for her and realises that he must reveal more of himself in order to make friends and deepen relationships. 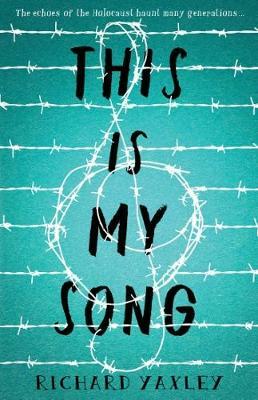 The novel soars when they create music together using voice and guitar. Both characters are profoundly drawn. Poems Joey’s mother sticks poems on the fridge. One is by Rumi. Children could take excerpts from other Rumi poems or poems by other poets that they like or remind them of Marsh and Me and display them. and move with foot and wings! and not the pain of saws! Nature Play Both Joey and Marsh love spending time in nature, particularly in the treehouse in the peppercorn tree. They listen to bird calls and other sounds and plant an acorn. It seems that many children today don’t have the time or opportunity to play in natural environments, especially where there are trees. 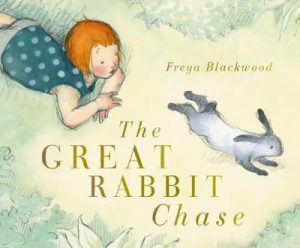 Parents or teachers could provide unstructured (or structured) opportunities for children (including primary aged children for whom this book is written) to improve their emotional, mental and physical health by spending time in the natural world. They could build treehouses, climb trees, watch the clouds and shadows, record natural sounds or plant a seed found in the local habitat. After reading Marsh and Me, it could be worth reading or re-reading Glenda Millard’s ‘Kingdom of Silk’ series, another thought-provoking yet tender and sensory exploration of childhood. All these literary works bring magic into the real world. The shortlisted books for the CBCA Book of the Year: Younger Readers is a very strong list. Some have already won or been shortlisted for other literary awards. Shortlisting in the CBCA awards is prestigious, increases awareness of each book and dramatically impacts sales. The long lead time between the announcement of the shortlist and the winners and honour books in August’s Book Week provides a wonderful opportunity to explore these books. I will look at the 30 shortlisted titles in a series of blog posts. It is interesting to note that Martine Murray has been shortlisted twice in this category. Lisa Shanahan has also been shortlisted twice. Her other book Hark, it’s Me, Ruby Lee! 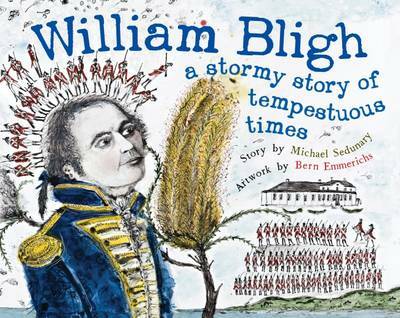 is shortlisted in Book of the Year: Early Childhood. 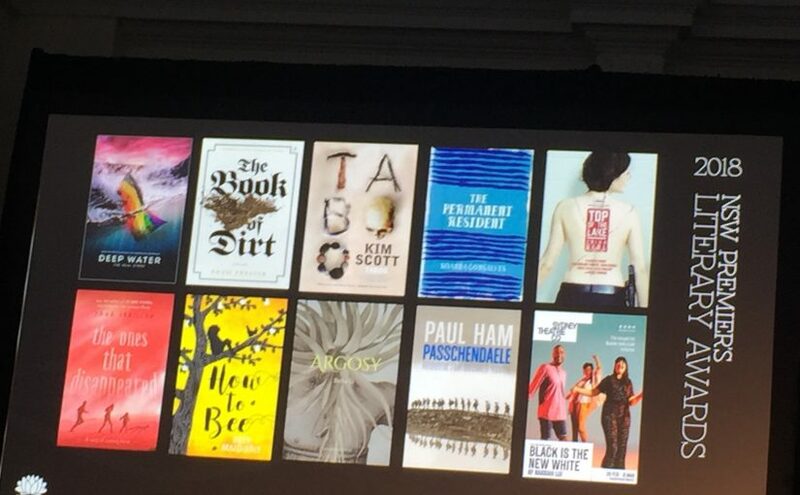 There are four novels and one book of short stories shortlisted in this category. Jonquil’s parents died when she was a baby. She’s now eleven and in the care of Aunt Pam who farms her out to boarding school and camps. 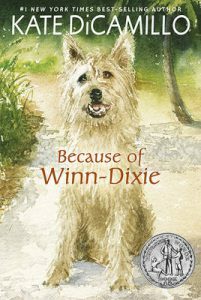 She leaves the train unexpectedly at Hoopers Bend and is befriended by Pirate, a white and black dog. 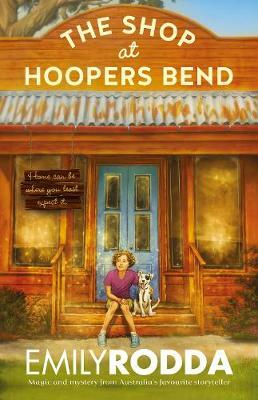 Jonquil is drawn to the shop at Hoopers Bend and Bailey, the older lady who has inherited it. Jonquil spins a tale and stays on, helping Bailey rent out the shop to different businesses for a short time. The shop exudes an ‘everyday’ magic. Jonquils The protagonist’s name is Jonquil (shortened to Quil) and Emily Rodda chose this name deliberately because they’re unobtrusive with a ‘delicate beauty’ to suit a ‘reserved and sensitive’ character. Plant jonquils. To compare these with other bulbs – daffodils, snowdrops and others could be planted as well. Match these flowers with different personality and character types. Stardust Quil invents a game, Stardust. She believes that all things, including people, contain the dust of long-dead stars and thinks that people whose stardust composition match closely have an instant affinity with each other. Conversely, people with very different stardust are unlikely to be friends. After reading the novel, children could look more closely at the star names and corresponding personalities. They could use these names to categorise book characters from the shortlisted novels or other books (and maybe even themselves). As a group, they could compile results into a Stardust chart. Bookplate Bookplates are an artform. Show children different bookplates. Examine the designs including space for name and possible date. Children design their own bookplates onto a sticky label (not post-it notes but labels that resemble bookplates from good stationers) to reflect themselves and their reading taste. I attended two standout sessions at the Sydney Writers’ Festival this year. 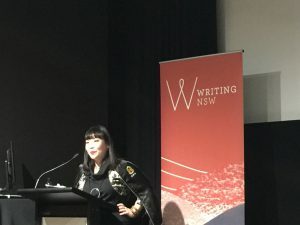 Forest for the Trees is run by Writing NSW (until recently NSW Writers’ Centre) and Poetic Threads by Red Room Poetry (in conjunction with the Art Gallery of NSW). 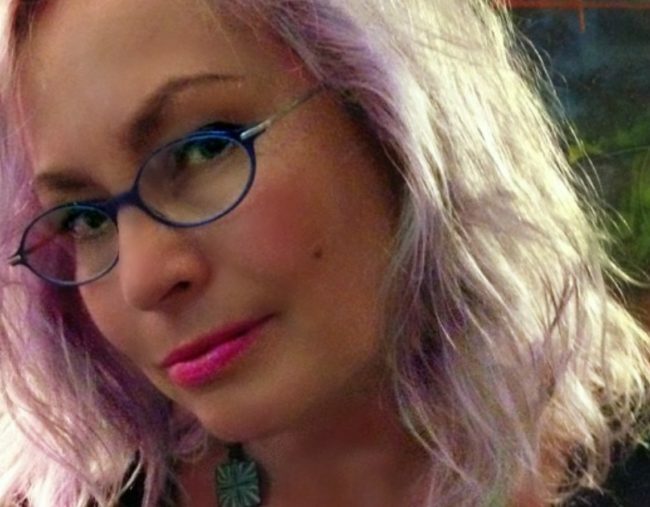 ‘Forest for the Trees’ is an annual seminar run primarily for writers but valuable for others in the industry. It’s a one-day forum held at the State Library. Julie Koh gave an enlightening keynote titled ‘My Path Through the Forest’. 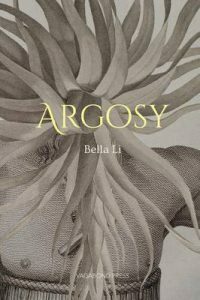 Some of her short stories sound like my favourite books – experimental literary fiction with magic realism and speculative elements. 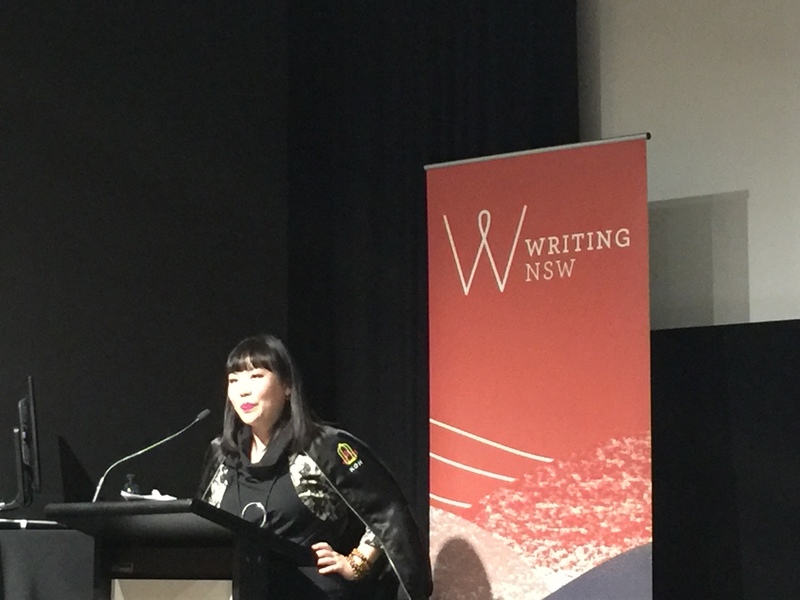 She recommends that emerging and other writers attend festivals, courses and literary social events, use social media and subscribe to professional organisations such as Australian Society of Authors. “The longer I’m in the literary world, the more I realise it’s about connections”. She acknowledged that authors are often introverts (who generate energy from being alone) and should balance their time with others and their book publicity with time alone writing and re-energising. Julie quoted The Sound of Music: “When the Lord closes a door, somewhere he opens a window” as a reminder to “scatter seeds everywhere” to find opportunities to promote work, only ask once and keep trying something new re publicity. 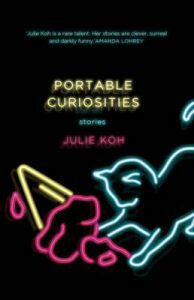 Her published books are Portable Curiosities and Capital Misfits. She’s currently writing the libretto for an opera and, with Ryan O’Neill, Jane Rawson and others, is part of the exciting, audacious writing collective Kanganoulipo. In ‘Staying on the Path’, Charlotte Wood (whose The Natural Way of Things I have written about a number of times on the blog) explained that she must “follow the energy” – have curiosity and interest in the work she’s writing itself; and, to maintain longevity in the industry, have tenacity and perseverance and behave professionally by treating everyone with respect and with humility. In the session ‘Going Further Afield’, Kirsty Melville from US-based Andrews McMeel Publishing (who publish Rupi Kaur’s Milk and Honey and other books of poetry) told us that poetry is generated by the political environment and “people are looking to the arts to express their creative selves.” She has recently signed three emerging Australian poets, Gemma Troy, Courtney Peppernell and Beau Taplin. by Red Room Poetry and held at the Art Gallery of NSW. Electrifying, sublime performance by Mirrah, Scotty Wings as Monkey and Candy Royalle took us to a heightened, magical place. Seek out their work. I was fortunate to facilitate a session with Inga Simpson and Tony Birch at the Sydney Writers’ Festival in 2016. I had been following their literary careers by reading their writing as published and have continued to be absorbed by their exemplary work. Inga Simpson sees the world through trees and hopes to learn the ‘language of trees’. 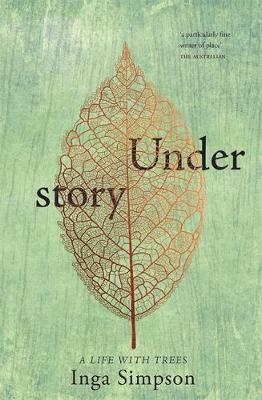 Understory: A Life with Trees (Hachette Australia) is nature writing in the form of a sensory memoir. 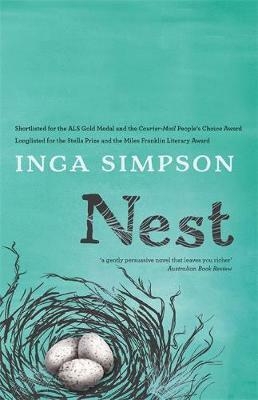 It traces her life in ten acres of forest in the Sunshine Coast hinterland alone and with N and her two children. The book is beautifully and aptly structured as parts of the forest. ‘Canopy’ includes chapters on the Cedar, Grey Gum, Rose Gum and Ironbark; ‘Middlestorey’ features Trunk, Limb, She-oak and Wattle; and ‘Understorey’ focuses on Sticks and leaves, Seedlings and Bunya, amongst other natural elements. 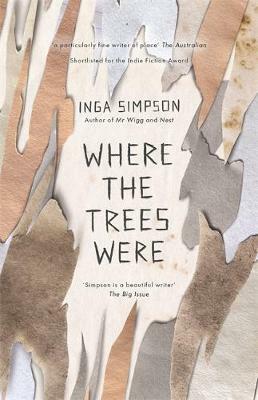 Inga Simpson lived in the forest for ten years. As ‘tree women’ and ‘word women’, she and N wanted a ‘writing life’. They referred to themselves as ‘entwives’, a term from Tolkien, and named the writing retreat they established, ‘Olvar Wood’, from Tolkien’s The Simarillion. The retreat was an oasis for writers but, along with financial and other problems, its demise is foreshadowed throughout the memoir. We celebrate and agonise with the author through the refurbishment of her lovely cottage despite ongoing leaks and mould; the acceptance of her debut novel Mr Wigg, the completion of Nest and the winning of the prestigious Eric Rolls prize. Readers are welcomed into the forest through the author’s words: ‘these small acts of tending … [tell her] story of this place’. Also memorable are the author‘s acts of tending the forest: clearing weeds, cutting timber and replanting. She recognises and absorbs ‘Indigenous concepts of country [which] include a responsibility to care for the land’. Once her eye becomes attuned, she discovers flame tree seedlings and young cedars that were already in plain view. She learns to take time to look for the ‘details and patterns and signs just waiting for my eye to become sufficiently attuned’. 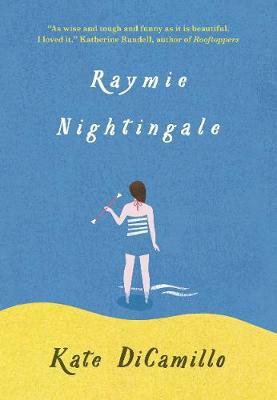 As part of this process the author develops ‘nature sight’, where living creatures such as sea turtles and sea eagles, reveal themselves to her. 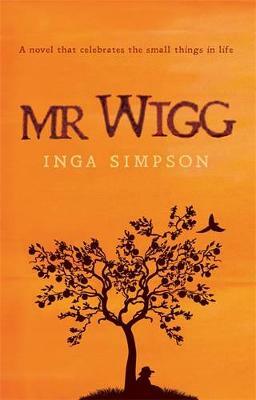 Inga Simpson concedes that she may not have achieved her desire to become ‘fluent’ in ‘the language of the forest’ but she has become ‘literate’ and literate enough to share her knowledge and understanding through lyrical, unforgettable words. 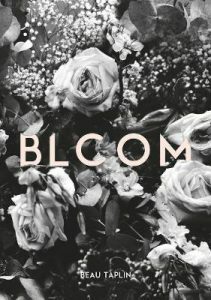 My review of Tony Birch’s Common People (currently shortlisted for the 2018 NSW Premier’s Literary Awards) is here.